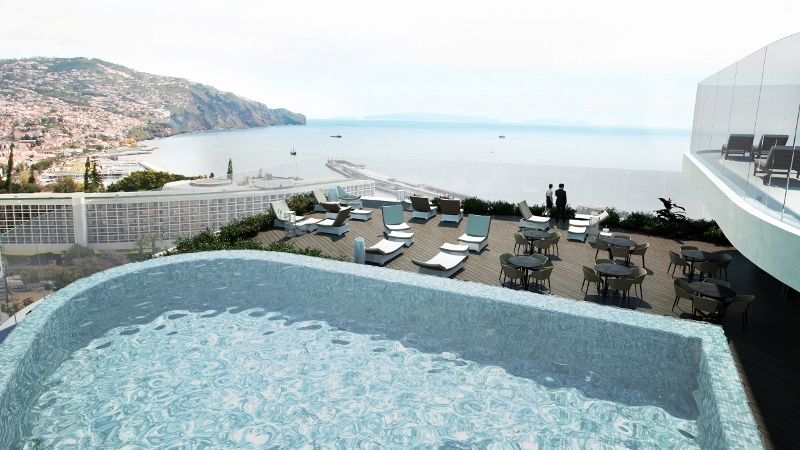 Elounda Peninsula All Suite Hotel has introduced new seafront pools for 2019, which will include the largest on the island of Crete. The new main pool and accompanying children’s pool have been introduced to open in May 2019 by the Kokotos family at a cost of €700,000. Collaborating with London-based designers, WATG, the hotel has produced a new pool concept that will undoubtedly amaze. Part of Elounda SA Hotels & Resorts, the Elounda Peninsula All Suite Hotel enjoys beautiful views across the iridescent Aegean Sea and Sitia mountains. Perched on the water’s edge, the hotel has been famous over the years for having the finest beach area on the island of Crete, flaunting crystal clear waters and smooth sandy shallows. Situating the pools right next to the beach, along with the hotel’s restaurants and bars, has created an ideal summer holiday combination of pool and beach relaxation. 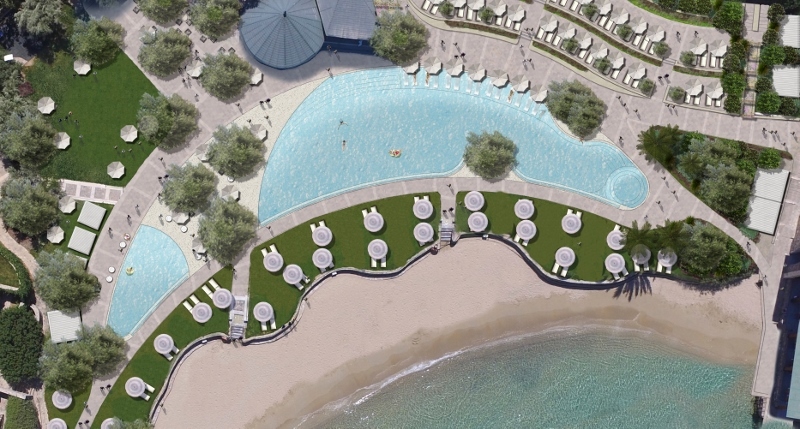 The new main pool will be the largest seafront pool on the island of Crete, with 420 square metres of gentle curves winding through native trees. Features include a hydro-massage area, loungers in the shallows and wide steps for easy access. A new children’s pool of 80 square metres will be separated from the main pool and features the ideal layout of shallow and safe waters. Finished with a silky-smooth ‘pebbledeck’, both new pools can also be heated up to 27C, if needed. 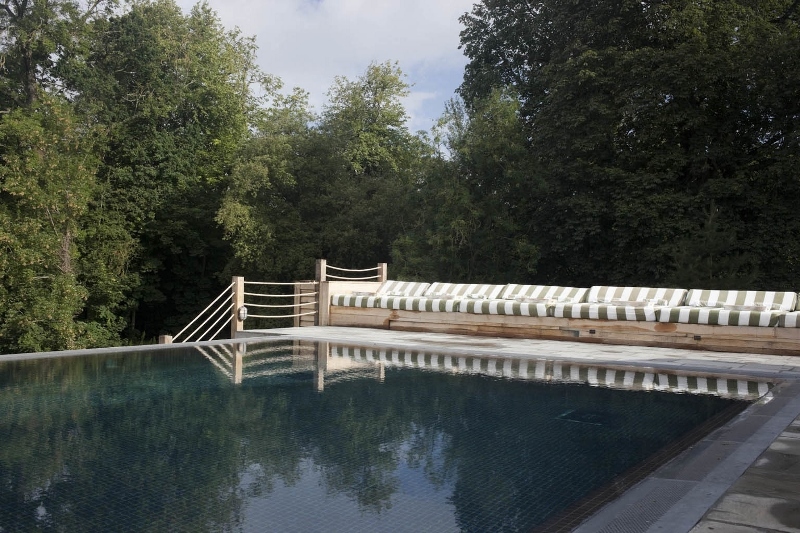 From a sustainability perspective, the new pools have been purposefully designed around the trees in the area that could not be re-located, involving them in the design. As carob trees cannot be transplanted, the pools were constructed around the two carob trees by the seafront in an effort to preserve the existing nature. Taking advantage of the kids’ pool’s new location, the design firm has created a variety of levels and niches to create more privacy for poolside day-beds and cabanas and to allow for unobstructed sea views from all corners. Rich vegetation, vibrant night-time lighting, contemporary shading solutions, as well as a much-improved flow around the pools and between the restaurants and bar, will ensure that the new beach scene will have something for everyone. The hotel offers a selection of premium accommodation including suites, villas and residences to create the perfect getaway. Premium accommodation comes not only with a lounge area and terrace featuring a private waterfront pool, but also direct access to private jetties or the hotel’s private sandy beach, being the only hotel in Europe offering this. Could this be 2019’s hottest new wellness spa hotel? 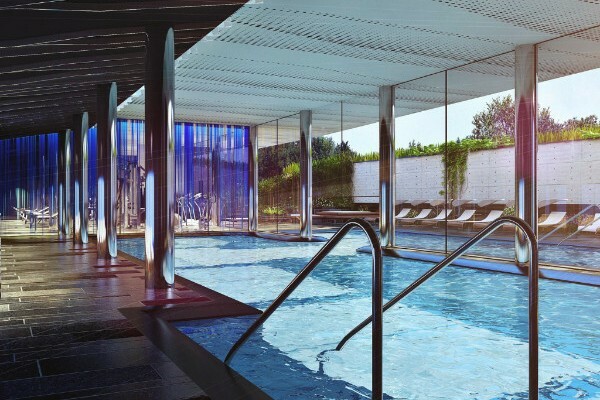 Longevity Wellness Worldwide will open the five-star Longevity Health & Wellness Hotel, in June 2019 in Alvor, Portugal. The state-of-the-art wellness centre will be the first of its kind embracing modern integrative and regenerative medicine with the most advanced wellness and preventative diagnostics, therapies and programmes, meaning it is set to be 2019’s hottest new wellness property. 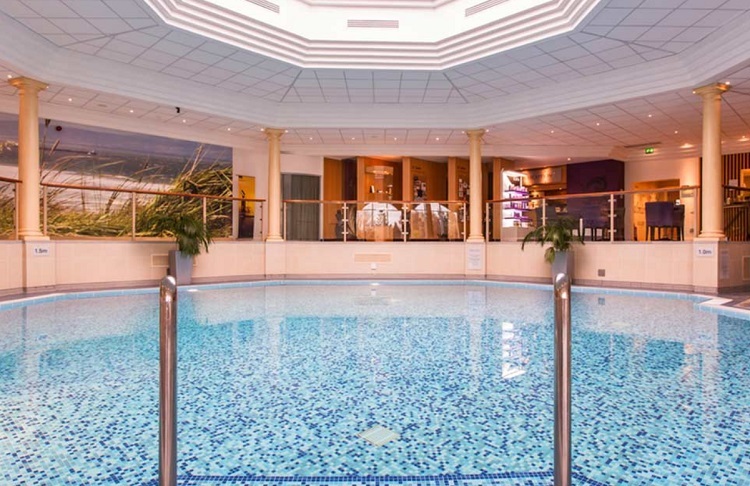 The hotel will offer a wide selection of impactful programmes from light programmes for beginners including relax and spa or detox to intensive longer specialised programmes around women’s health optimisation or intense detox and reshape. Such is the dedicated wellness offering that more specialised programmes are also available such as exclusive hyperbaric treatments for intense tissue oxygenation, in-depth diagnostics, advanced detoxification and health regeneration therapies, cardio-vascular repair and prevention programs, diabetes, metabolic and sleep optimization programs, obesity management programs. A ground-breaking adults-only health and wellness property set in the western Algarve with panoramic views of the bay of Alvor, the property will offer a world class dedicated wellness and medical spa over two floors focused on a full array of medical and non-medical state-of-the-art diagnostics and therapies for optimal health and wellness. 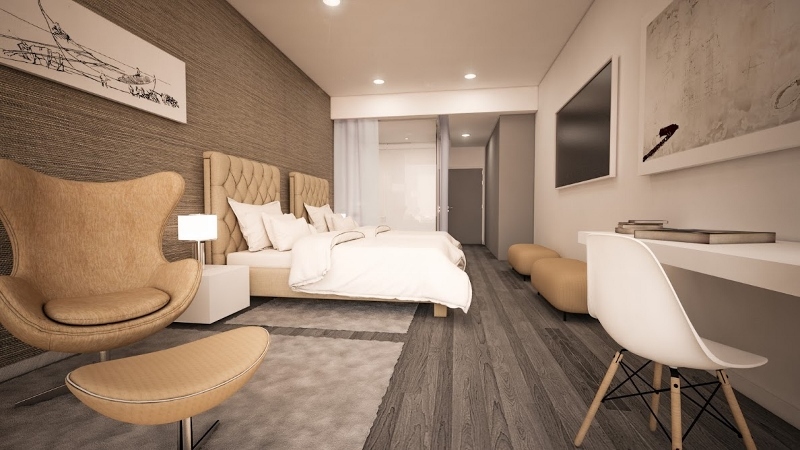 The hotel will have a total of 70 bedrooms and suites offering standard Longevity rooms, junior suites, Longevity thematic suites and one premium Longevity ‘The One’ suite. Through continuous research, development and innovation, Longevity Wellness Worldwide is the ‘Source to Wellness’ for guests looking for a relaxing spa or wellness break or a more intensive high impact health and wellness programme. 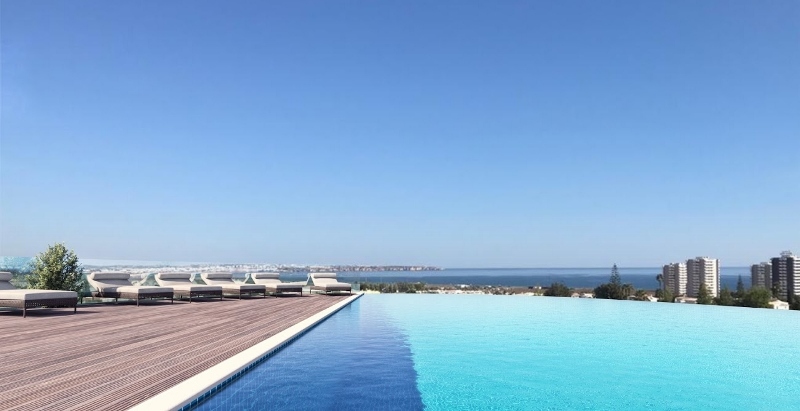 In addition to the innovative wellness and medical spa offering, Longevity Health & Wellness Hotel will have two restaurants, including a rooftop Pure Cafe by Longevity with a panoramic view over the stunning bay of Alvor. The Mediterrânico Restaurant by Longevity and the Chill Out & Relax Tea Lounge will be located on the ground floor. Staying true to the core of the Longevity brand the food will be fresh, delicious and colourful focusing on local and functional, alkaline and anti-inflammatory foods. Creating a sense of balance between anticipation and relaxation, Hotel Designs is starting next year by shining the spotlight on both hotel openings and spas. Starting in January, we will be looking ahead to all the hottest and most-anticipated hotel openings that we should expect over the next 12 months. From modern metropolis’ to far-flung destinations that exude luxury, we will discover all the latest hotel design hotspots and all the unassuming gems that should be on your hotel design radar. With the wellness trend showing no time of stopping any time soon, there is now arguably more attention as a consumer towards the hotel spa than there is on the guestroom. Throughout January we will be checking out the best spas from around the world and understanding what is it that makes a spa experience spectacular. 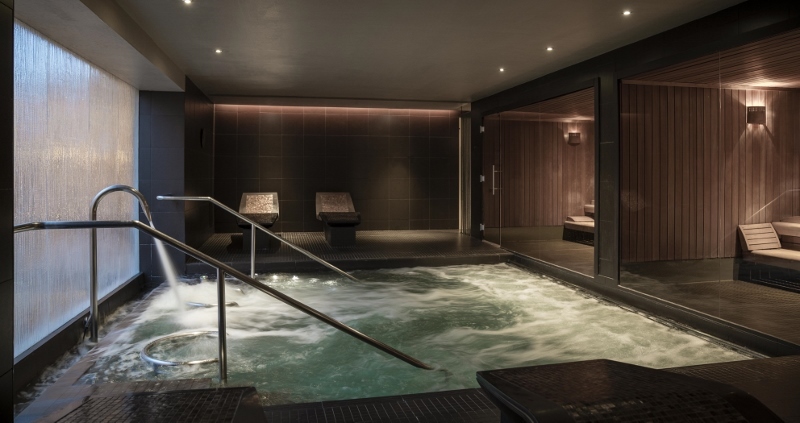 Nestled in the heart of the Lake District’s beautiful Borrowdale valley, Lodore Falls Hotel & Spa is excited to share the luxury design details of its multi-million-pound redevelopment, including a new state-of-the-art spa and 18 new Spa Suites. 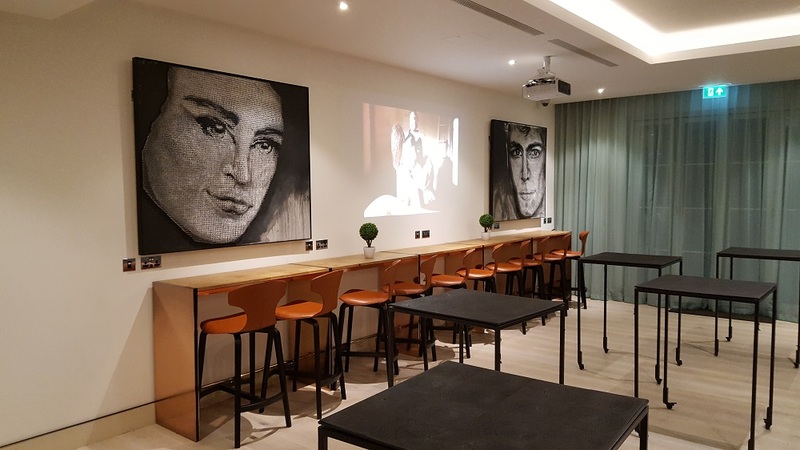 The 87-bedroom hotel received a full ground-floor refurbishment in 2017 and in April 2018 opened a pan-Asian restaurant, Mizu. The final phase of the redevelopment is now complete, opening a new destination spa and accompanying spa suites. The new Falls Spa has been designed with guests’ comfort and relaxation in mind, featuring Scandi-inspired décor, bespoke designer furniture, luxury bathrooms and cosy seating areas. The purpose, style and mood of the spa according to each room’s function have been carefully considered. Furnishings and light fixtures by Tom Dixon and Moooi help blend streamlined Scandinavian style and British countryside sophistication. The overall ambience of the spa’s Champagne Bar is a moody, Scandinavian revival, reflected through its elegant light fixtures exclusively designed by George Cawardine for Anglepoise, Chen Bikovski for Compagnie and Terence Woodgate. The upholstery is all bespoke leather and fabric sourced from Skai, Warwick, Osborne and Little and Casamance. Soft furnishings have been meticulously chosen to entice spa goers to truly relax into their depths, leaving behind the stresses and strains of everyday life. 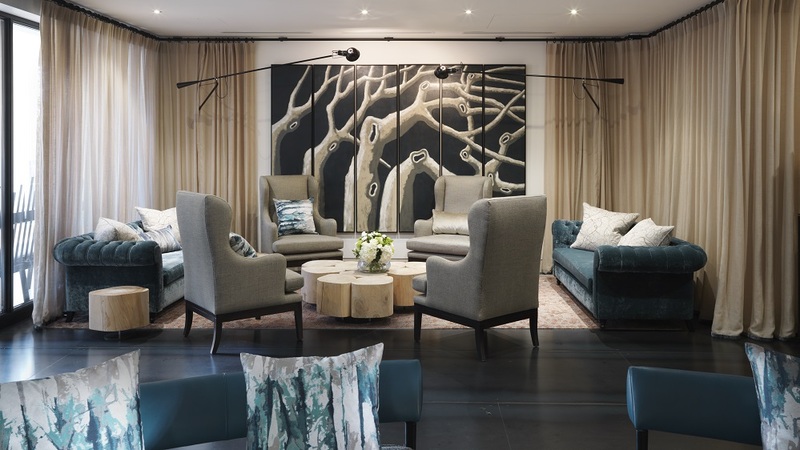 Guests are welcomed into the spa reception by stylish upholstered furniture, designed by Tom Dixon and Graham and Green, boasting custom-made velvets, tweeds and dobby weaves, showcasing the best of elegant British design. Guests feel the harnessing power of nature as the earthy hues of the spa bring the outside in. The Khaki/Aqua/Chartreuse colour pallete is intended to compliment the environment whilst remaining fresh and contemporary. The treatment rooms complete the Scandinavian revival and Nordic retreat feel. Taking great inspiration from the beautiful surrounding nature and the hotel’s gorgeous grounds, the outdoors seamlessly blend with the spa interior. The Falls Spa is a natural haven where water inspires the fluidity of the spa design and treatments; from the soothing rhythm of the Lodore Falls waterfall, to the reflective tranquillity of Derwentwater. The walls and floor have a modern, functional take on lime washed wooden planks and Faux Shagreen ceiling to associate with the Relaxation Room. The treatment rooms feature ambient lights designed by renowned designer Moooi, with adjustable settings to tailor the mood of the room with the treatment being offered. 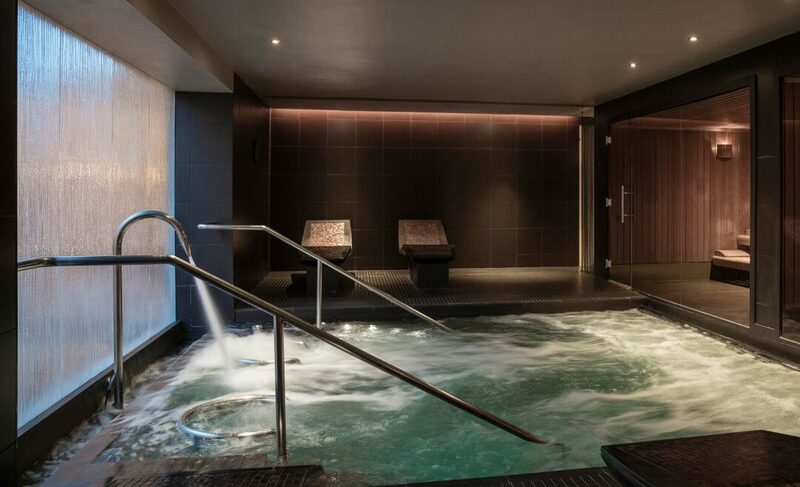 After a dip in the infinity-edge vitality pool guests can make their way to their luxurious room, choosing from 18 brand new spa suites, allowing guests to maximise their time at The Falls Spa. 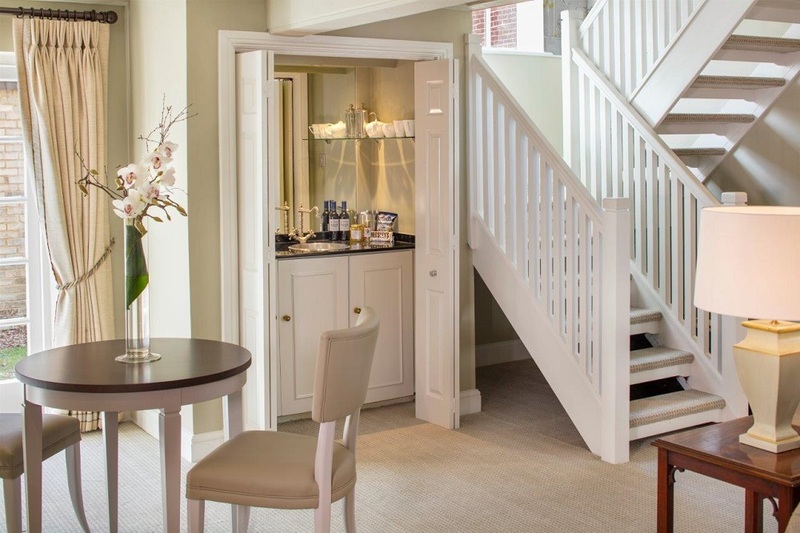 Guests booking into the new Spa Suites enjoy complimentary access to The Falls Spa, while all other hotel guests can visit the spa for £25 for a four-hour experience. Most suites boast spacious balconies and panoramic views of the lake or surrounding forests. All suites are Scandi-inspired in their aesthetic and are fitted with modern, high quality amenities meaning that guests can settle down in a comfortable chair while reading a book or watching the large flat screen TV. When it comes to bed time, guests can look forward to a restful night’s sleep between crisp white sheets on luxurious Sealy beds. Room schemes are paired back, with textured wallpaper, whitewashed oak and teak cladding, while pops of colour in fabrics, carpets and abstract prints sourced from King & McGaw bring the rooms to life. Several of the bespoke upholstered sofas are fun redesigns of chaise lounge sofas, paired with cushions from Romo, Osborne and Little and Rubelli. This historic property is filled with understated yet luxurious touches such as muted tones of leather, tweed and rich velvets and a strong focus on modern design and high quality finish. Designed through a contemporary lens, these new design details blend seamlessly with the property’s traditional elements and offer guests an unforgettable stay in a luxurious and stylish hotel. Westin Hotels & Resorts has expanded into the Republic of Maldives with the opening of The Westin Maldives Miriandhoo Resort. Developed by Belluna Co. Ltd, Japan and Asia Capital PLC, Sri Lanka, the hotel signals the brand’s wellness positioning in the Maldivian oasis. The resort has taken inspiration from the ocean, as award-winning Milan-based architects PEIA Association has created a visionary approach towards environmental sustainability. An aerial view of the new resort also reveals an outline in the shape of a fish, reinforcing its approach to sustain the environment. “We are thrilled to introduce the Westin brand to the Maldives, strengthening our presence in Asia Pacific,” said Mike Fulkerson, VP of brand and marketing at Marriott International Asia Pacific. Inside, the resort boasts 70 villas and suites, 41 on island and 29 overwater, which all feature an eco-friendly double roofing to create a natural ventilation system. On-site, the hotel also offers its guests three unique dining experiences; The Pearl, which specialises in Japanese cuisine and Island Kitchen which stays true to the Westin brand’s Eat Well brand pillar through a balanced menu combining Chinese, Indian and Maldivian fare. Lastly, guests can sample authentic Asian street food with a live kitchen inside the Hawker. The resort also comes equipped with Westin’s signature branded spa concept, the Heavenly Spa by Westin with the latest in beauty treatments for guests to indulge in. Challenging the design of existing hotels in the area, the newly opened Sofa Hotel Istanbul is a chic retreat situated in the historical heart of Turkey. 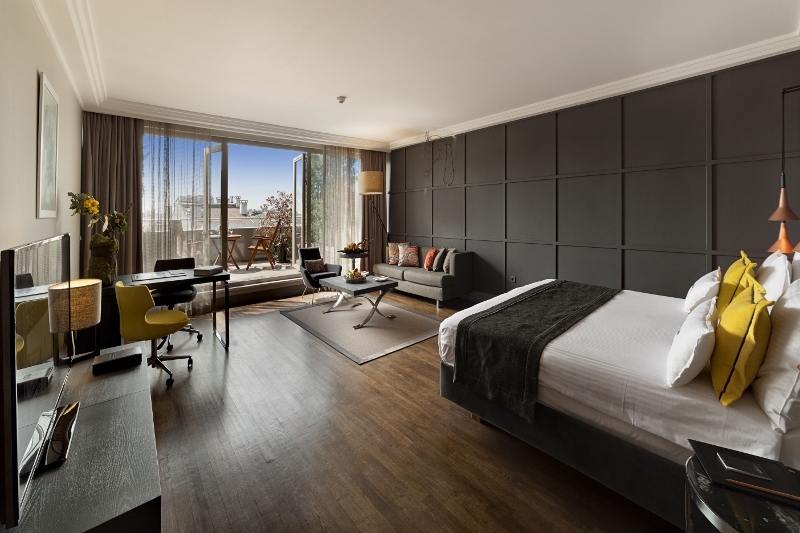 Boasting contemporary interiors and a private collection of thoughtfully curated artwork, the 82-key hotel evokes its enviable location in the heart of Istanbul’s chic shopping district, Nişantaşı. The boutique property joins Autograph Collection Hotels’ unique portfolio of one-of-a-kind hotels around the world that share the brand’s values of vision, design and craft. Designed by renowned Turkish architect, Hakan Kiran, the hotel’s interiors are tranquil and relaxing, offering a contrast to the city’s bustling streets. 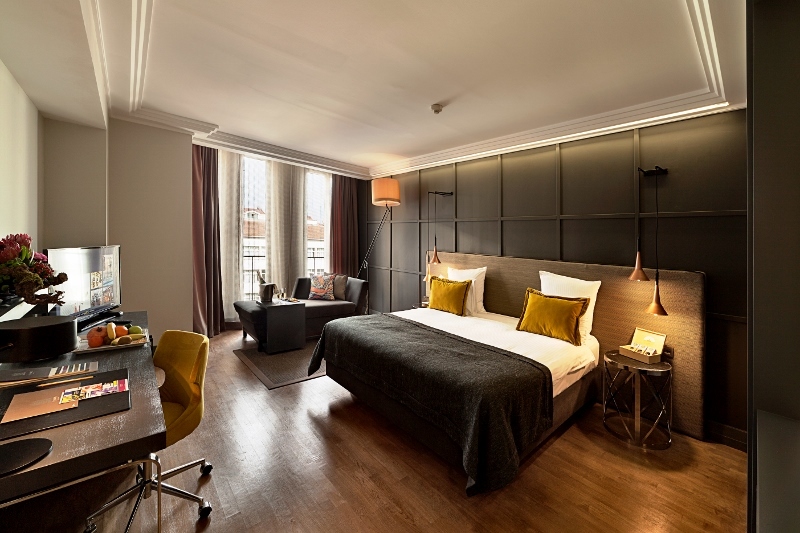 Sleek lines, custom-designed furniture, bespoke artwork and modern light fittings complete the 82 guestrooms, which are decorated in grey tones with splashes of deep red, mustard and copper throughout. 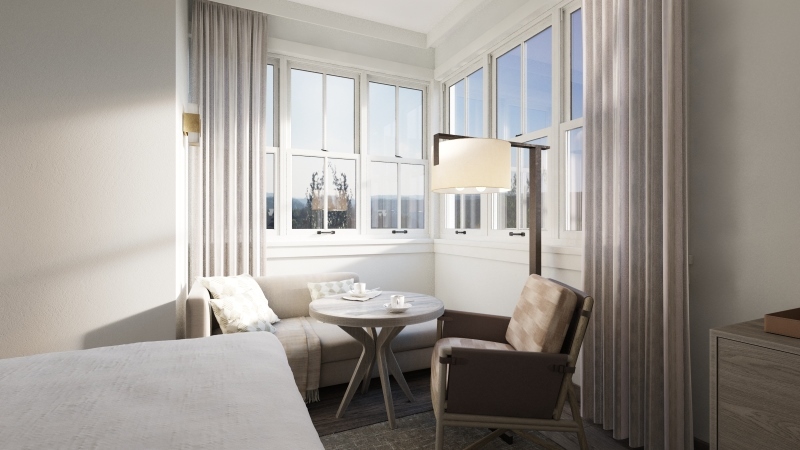 Five suites and a selection of terrace rooms with private balconies offer more space as well as stunning city views. Each guestroom offers a large marble bathroom with standing shower and luxurious separate bathtub. 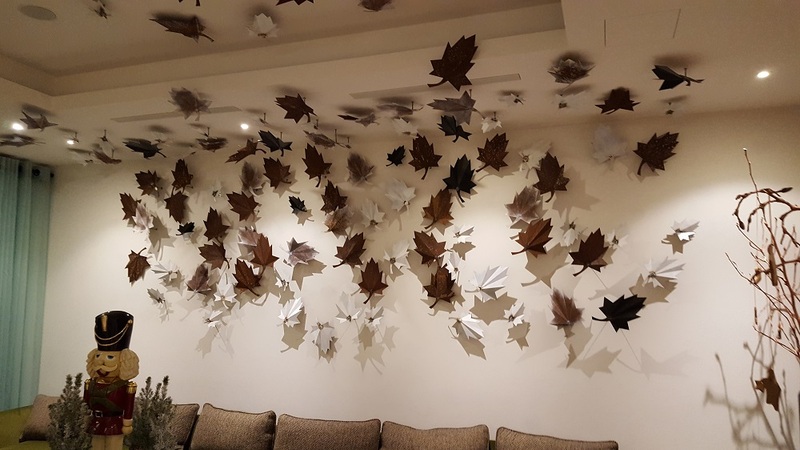 Alongside bespoke pieces of artwork throughout the hotel reception rooms and guestrooms, Sofa Hotel hosts Turkey’s leading annual art fair, Contemporary Istanbul. 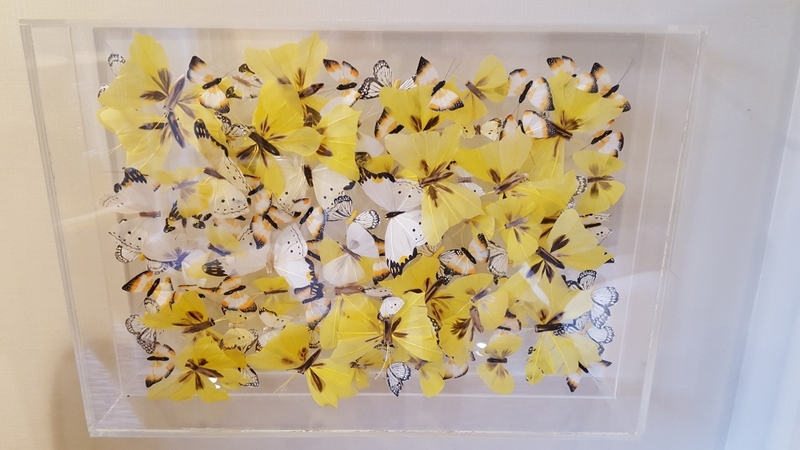 Now in its 13th year, the prestigious art fair in September offers a platform for the city’s thriving art scene, as well as access to the best contemporary art from the wider region. 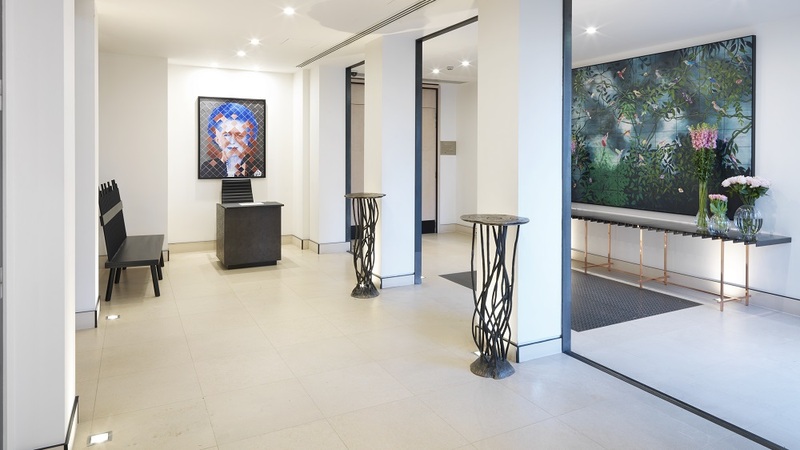 As part of a permanent exhibition, the hotel also offers art-enthusiasts the opportunity to view exclusive works by celebrated Turkish artist, Ekrem Yalçındağ during their stay, truly showcasing Sofa hotels support of the art world and commitment to its ‘mark of craft’ celebrating the hotels individuality. Located on the first floor, Sofie Restaurant is a 24/7 hotspot providing gourmet breakfast, lunch and dinner. Highly acclaimed Frankie Istanbul, one of Istanbul’s hottest rooftop destinations, offers an elegant and energetic ambiance alongside a unique fusion menu of innovative Mediterranean dishes and local cuisine. Guests can also soak up spectacular views of the city at the stylish bar and lounge area, and enjoy the impressive wine list on offer. For those looking to escape the hustle and bustle of the city, the Green Spa is an oasis of wellbeing and tranquility utilising the latest Asian and European wellness therapies. Spa-goers can chose from an array of body and beauty care, from Indian healing massages to hot stone therapy and traditional Turkish Hammams. The signature treatment – the ‘Sultans Special’ – is a traditional Turkish scrub that originates from the Ottoman era. 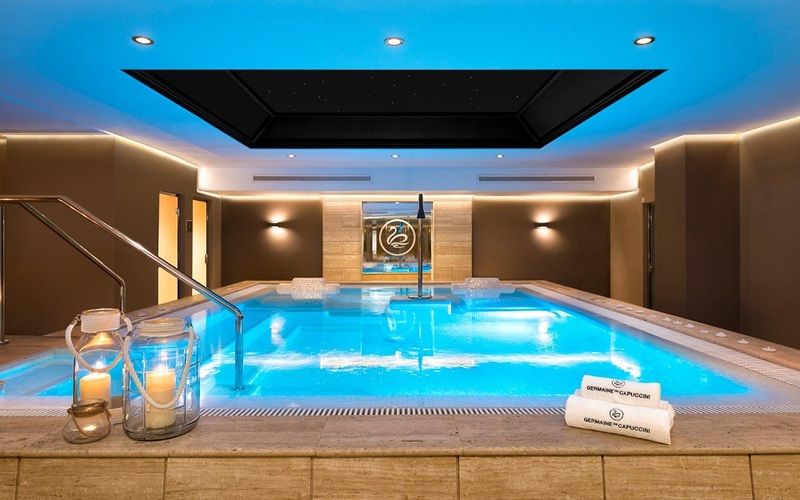 As well as personalised treatments, guests can revive in the relaxation pool, Jacuzzi and luxurious Turkish bath. Meetings and events are expertly catered for in the hotel’s two meeting rooms equipped with the latest technology. 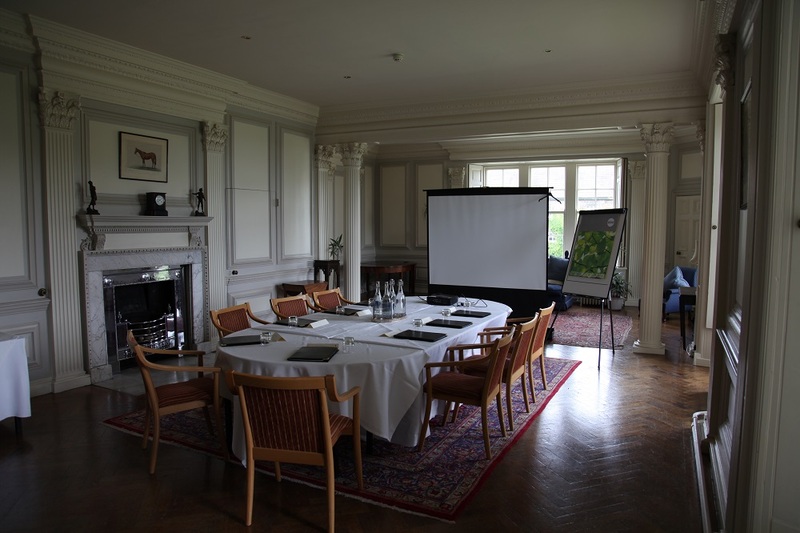 A flexible area for bespoke events, 300 people can be accommodated throughout the meeting space. Between the years of 2013 and 2015, Global Wellness Institute (GWI) concluded that the wellness travel market grew by a whopping 10.6 per cent to be worth an estimated US$563.2 billion. With that trajectory expected to rise even further, as GWI predicts that the wellness tourism will grow to be more than a US$800 billion industry by 2020, spa concepts and the core designs around spas are arguably the windows to new clientele. As a result, spa design within the hotels to reach that ambitious five-star status is hot on the mind of designers, architects and hoteliers – and rightly so. As the spa becomes the spirit of the hotel, here are some awe-inspiring hotel spa concepts that have the ability to transform guests into another world whilst checked in. In its majestic position underneath Scotland’s Ochil Hills, Glenagles’ escape doesn’t get much better than its spa. Designed by the great Sue Harmsworth, ESPA at Gleneageles was named last year as Britian’s best spa by The Good Spa Guide. As Scotland’s pre-eminent destination spa, it has been designed symmetrically to keep male and female areas separate. Visitors to the spa can de-stress in the soothing surroundings of the central courtyard, enjoy indulgent heat and thermal experiences before or after their treatment, or enjoy a snack at The Spa’s café. 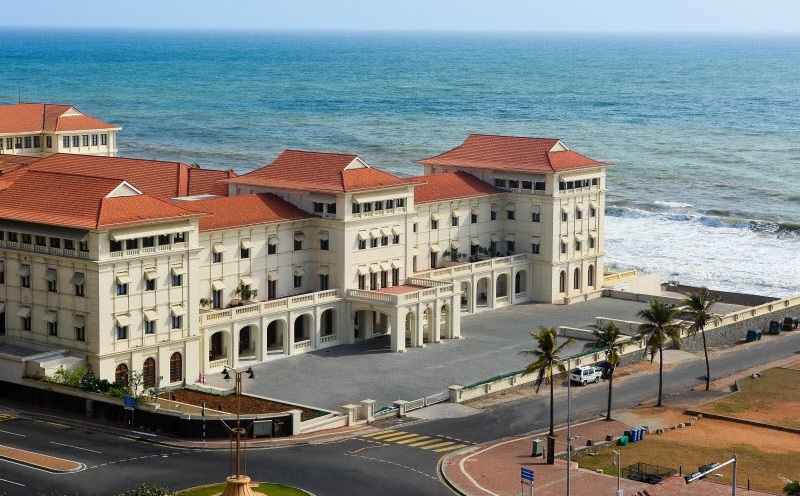 Considering the majestic settings and the grand 1920s main building, the hotel is surprisingly modern with all the right levels of luxury. As Bath’s only hotel that taps into the city’s natural thermal springs, The Gainsborough is in a league on its own in the South West. The spa’s design fuses modern elements with traditional architecture typical to surviving examples of Roman Baths. At its heart are three healing pools of warm thermal water beneath a contemporary glass atrium. The spa is spread over two levels. 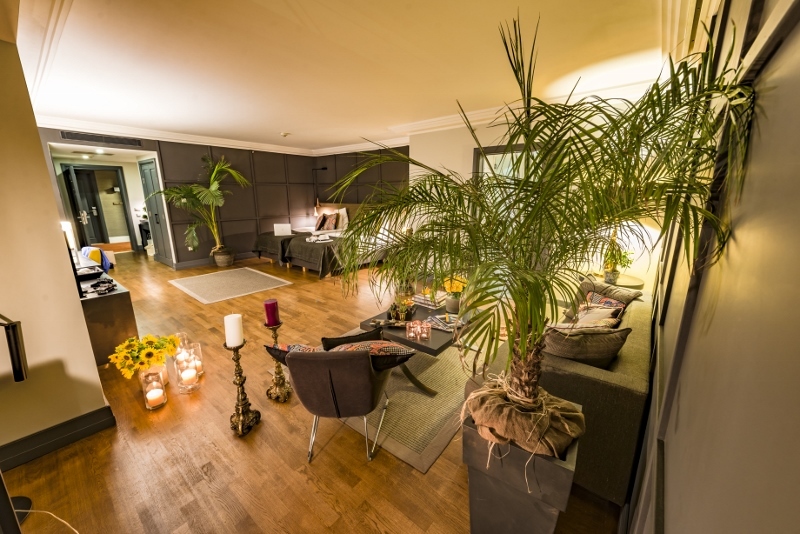 On the lower level there are treatment rooms, an ice room, infra-red sauna, traditional sauna, steam room, luxurious men’s and ladies changing rooms and the thermal pools. Respecting the historic Roman tradition, each pool is a few degrees warmer or cooler than the next and are to be experienced – as they were in Roman time – in sequence. Between the columns of the Romanesque colonnade and feature wall surrounding the largest of the pools of the Bath House, are niches clad in custom glass mosaics in blue and grey. 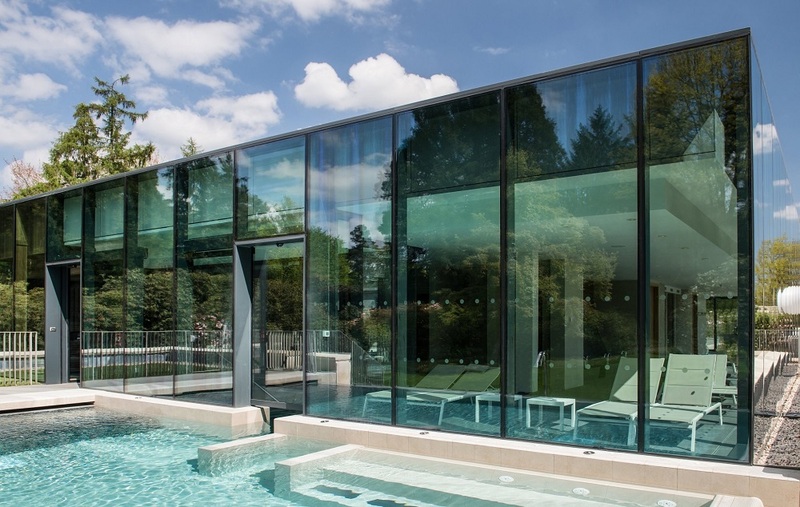 Designed to reflect the thermal water and the Bath sky beneath the glass roof above, bathers will sit amongst the columns enjoying massaging jets of therapeutic water. Above, three contemporary interpretations of Georgian lanterns illuminate the Bath House, adding another contemporary edge to the spa’s design. Elsewhere, a Roman mosaic floor, uncovered during 19th century archaeological works and sealed beneath the surface, has been replicated above. On the second level, linking the Gainsborough to its sister YTL property, Green Leaf Niseko Village, in Japan, a Tatami and a VIP room complete with an Ofuru-style tub (a wooden Japanese soaking tub accented with river rocks) is a feature element honouring the Asian hydrotherapy tradition. Ensconced further within is a cloistered space called the Fountain Room where guests are invited to taste the mineral-laden thermal water – a practice known to Roman bathers in Bath – and to meditate on a waterfall in contemplative solitude. 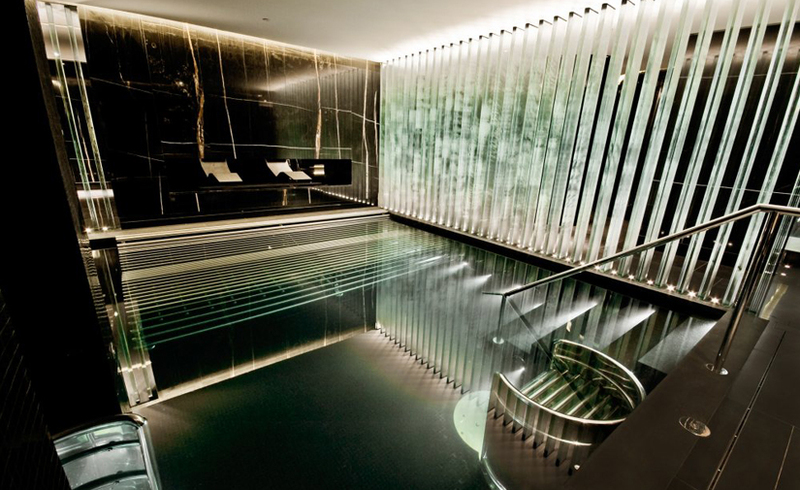 Another Harmsworth-inspired retreat, the ESPA at The Corinthia London is the largest hotel spa in London and is, bizarrely enough, located just metres away from one of the city’s most iconic landmarks, Trafalgar Square. Arguably, that’s what makes the experience that much more special and surreal. The spa which spans across four floors (reception and spa lounge, thermal floor, treatment floor, gym) is the perfect escape from the city above. The gateway to luxury starts at the reception area. Deliberately narrow corridors leading towards the thermal floor evoke the feeling of escaping into an underground world. Seamless ceramic doors camouflaged in the walls make every turn feel like an exclusive experience. Meanwhile, the roaring fires placed around the venue compliment the dark hues of blues and blacks. As well as creating drama, the concept of fire also cleverly breaks up the space without using walls. Located underneath the hotel, and the busy streets of the capital, the spa includes a swimming pool – which sits below a large glass amphitheatre sauna, an ice fountain, a vitality pool, heated marble sun loungers and private sleep pods. Located on an original medieval hunting grounds, Lime Wood Hotel shelters a three-floor spa, Herb House Spa. Dedicated to natural wellness and inspired by its forest surroundings, Herb House instils a sense of calm, well-being and serenity – it’s the perfect chilling retreat. 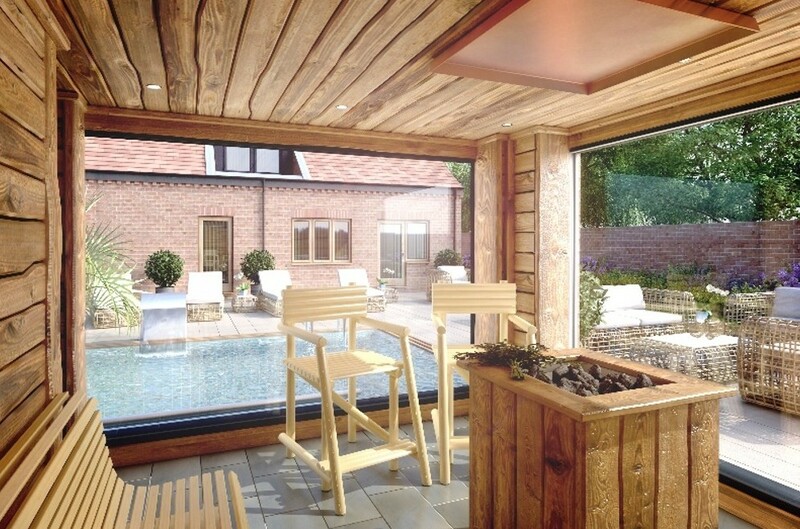 Herb House has a largeSauna and indoor Hydro Pool with stunning forest views, a mud house, a steaming outdoor hot pool, eight spacious single treatment rooms and two magnificent double treatment rooms – the perfect place in rural England to escape from the world in the heart of the New Forest. 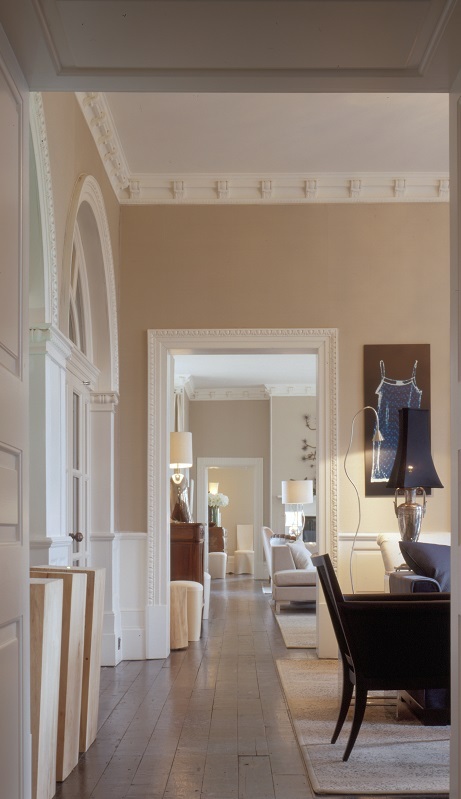 Set in the heart of Somerset, Babington House was designed with the stressed-out city goers in mind. The relaxed and typical ‘Soho House’ colour scheme of green and white stripes marries nicely with the honey-coloured facade of the main building that sits behind. The ‘rustic-chic’ Cowshed spa is surrounded by stunning vistas of the Somerset countryside. Facilities include two heated pools (one inside and one outside), sauna and steam room. To celebrate the best of British in the hotel design industry, Hotel Designs has now opened up nominations for this year’s Brit List. 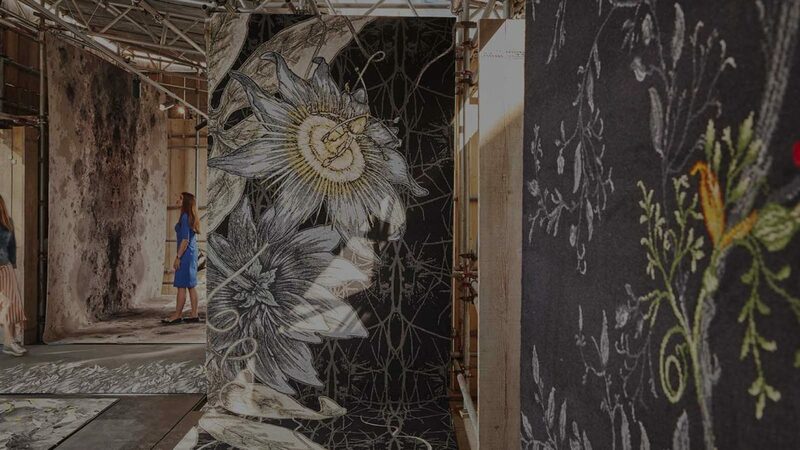 The Brit List will amplify Britain’s top interior designers, hoteliers and architects. Click here for more information. 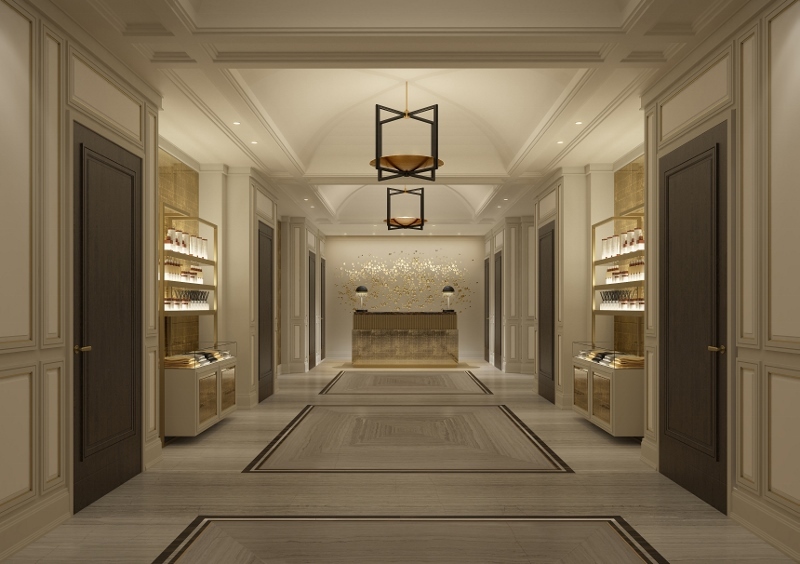 Opening late 2018, The Langley, a Luxury Collection Hotel, Buckinghamshire, which will join a growing ensemble of over 100 Luxury Collection hotels and resorts around the world, will open what is billed to be a world-class spa. 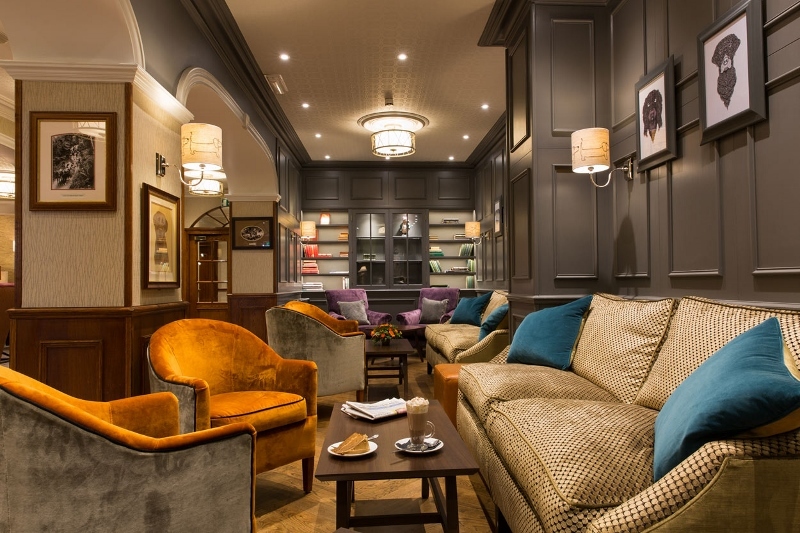 Creating a new design gem in the heart of the Buckinghamshire countryside, The Langley, which is the sister hotel to The Wellesley Knightsbridge, will be owned and managed by City & Country Hotels Ltd. Located within the Langley Park estate, the 41-key boutique hotel and spa is set within 500 acres of idyllic countryside. The hotel is comprised of two buildings, a historic Grade II* listed mansion that was the former estate of the Duke of Marlborough and a Grade II listed outbuilding that was formerly used as a stables and a brew house. 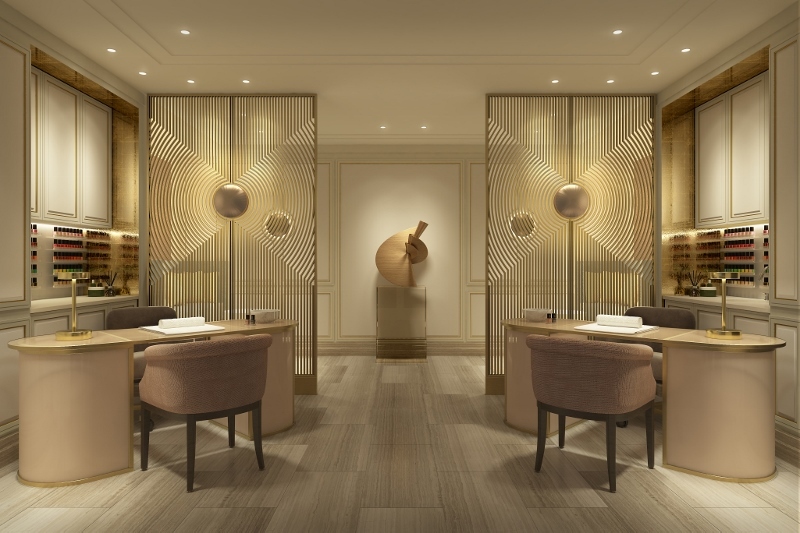 Tasked to bring the vision of a cutting-edge spa to life is award-winning interior design firm Dennis Irvine Studio, which also created the design concept for The Wellesley and the two Wellesley yachts. A number of distinctive and bespoke design features will be evident throughout the striking space, with neutral hues and metallic elements that create a contemporary, luxurious feel. Encompassing an impressive area of 1,600m2, The spa will feature a number of distinct areas. Five spacious treatment rooms complete with individual changing areas will provide a comfortable setting in which guests can experience a number of authentic and personalised treatments, while two thermal areas, one of which is designated female-only, will boast features including a vitality pool, sauna, steam room, hammam and heated relaxation loungers. A VIP suite which spa guests will be able to book exclusively will offer the utmost privacy, equipped with a private relaxation space, vitality pool, Juniper sauna, Amethyst steam room and hammam along with private changing facilities. 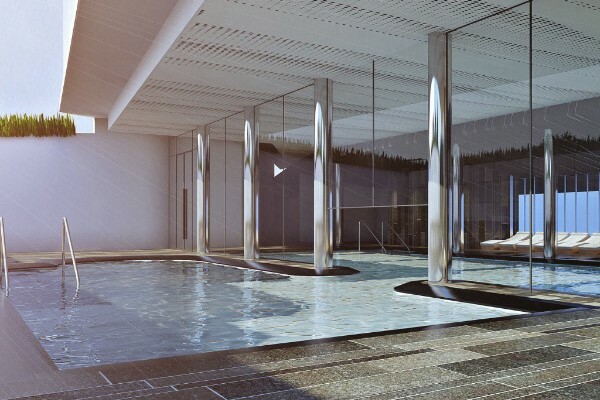 A further standout feature at the centre of the spa will be a bespoke 16-metre indoor swimming pool with an infinity edge, designed by Aqua Platinum. A number of relaxation spaces will be available to guests, one of which will be designated female only, with other spaces including a manicure and pedicure studio, hair salon and lounge serving an array of nourishing dishes and drinks, creating a social hub for guests. Once opened, the Langley spa and gym facility will be open to hotel residents, day guests and members. 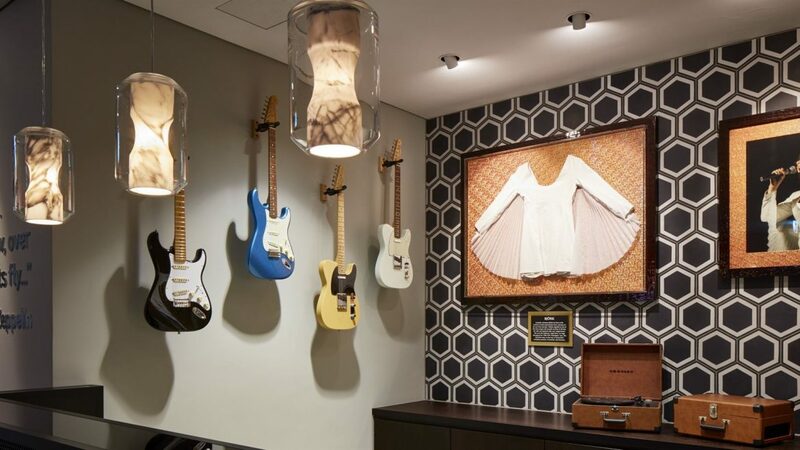 Combining the power of music with an unforgettable wellness experience, Hard Rock Hotel Davos has launched Rock Spa. Bringing together key elements of spa, fitness, dance, and yoga, the new luxurious Rock Spa® will offer a 360-degree approach to wellness, encouraging guests to maximise their physical and mental potential in a fun and creative way. Utilising the most evolved technology in wellbeing, the sumptuous 1000 square metre Rock Spa® will feature a series of thermal facilities. Including a 57 square metre main pool, the Kneipp Walk Pool, a whirlpool, several saunas, a steam bath and an exhilarating ice room. By using natural materials such as stone and wood, the alpine environment is integrated into the Rock Spa®. The emerginC organic products used in the treatments are paraben-free and contain natural raw materials such as spirulina, kombucha, goji berries, white and green teas, aloe and food-safe algae. The launch of the Rock Spa® will complement the hotel’s current wellness offering, Rock Om®, an in-room program yoga experience, energising the body and soul through the power of music. Rock Om® consists of three individual in-room yoga videos that will play on Hard Rock’s television systems across the brand’s portfolio, in addition to the Rock Om® landing page where guests and non-guests can follow along and flow. With six treatment rooms, guests are encouraged to choose from the Rhythm and Motion signature treatments, the world’s first fully immersive music-centric spa menu utilising amplified vibrations, pressures and patterns, as the foundation of its rhythmic centric spa journey. Luxury hotel bathrooms are designed to make a statement, using products that encourage wellbeing and promote a space of relaxation. 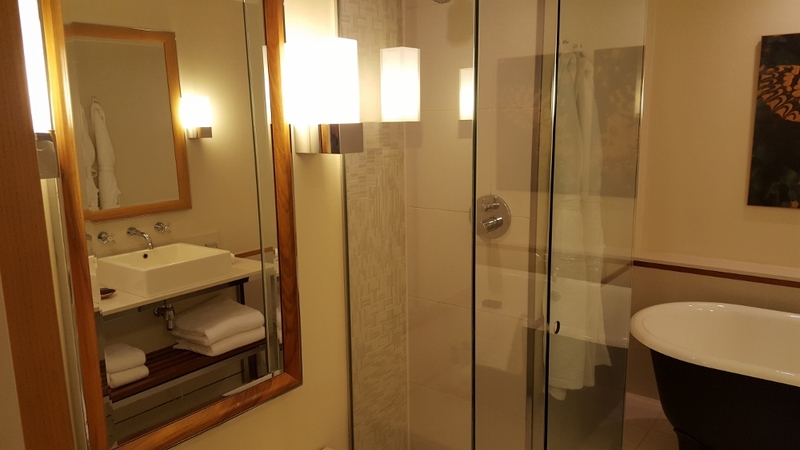 As a result, there is a huge array of wellness products now available for the hotel and hospitality industry, including showers with mood lighting, steam functions and music controlled by Bluetooth. Oversized statement showerheads are also available, alongside products that offer a range of spray patterns designed to suit the user’s needs, with side shower sprays offering the opportunity for a massaging showering experience. For smaller budgets, showering products are available that offer multiple spray patterns from an intense jet to a relaxing massage spray. This adds a simple but indulgent addition to your showering experience, offering you the choice to tailor the water flow to suit your mood. 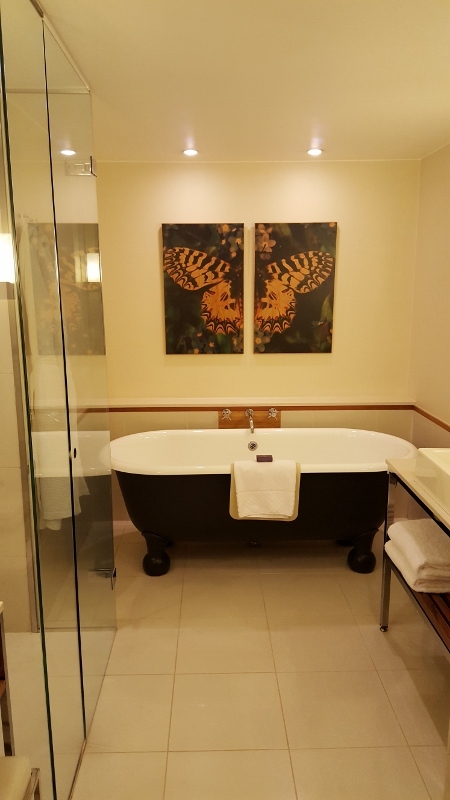 Hotel bathrooms should offer the ultimate sanctuary in which to unwind at the end of the day. 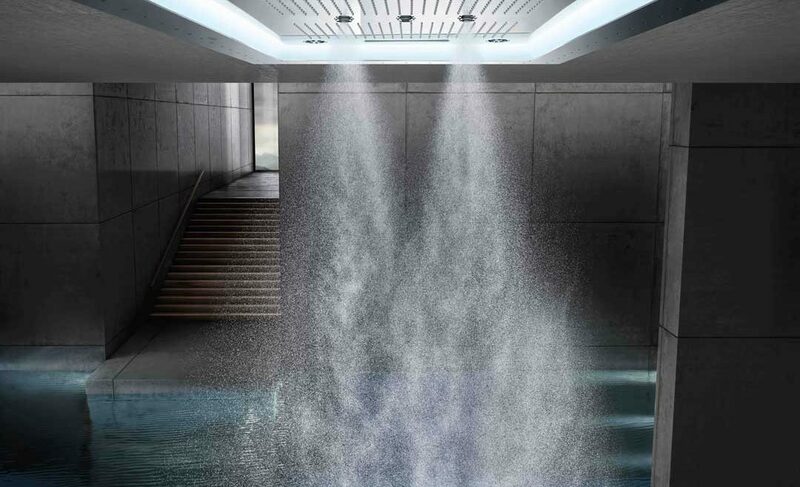 Features like showers with multiple spray patterns and massaging function to statement taps designed to catch the eye will always impress clients. Smart technology can also be considered for hotel bathrooms, particularly as more guests look to have a staycation to unwind and relax. Many smart products are now available in the bathroom from high tech toilets, to spa-inspired showers that help to create a relaxing bathroom sanctuary at the end of a busy day sightseeing or shopping. 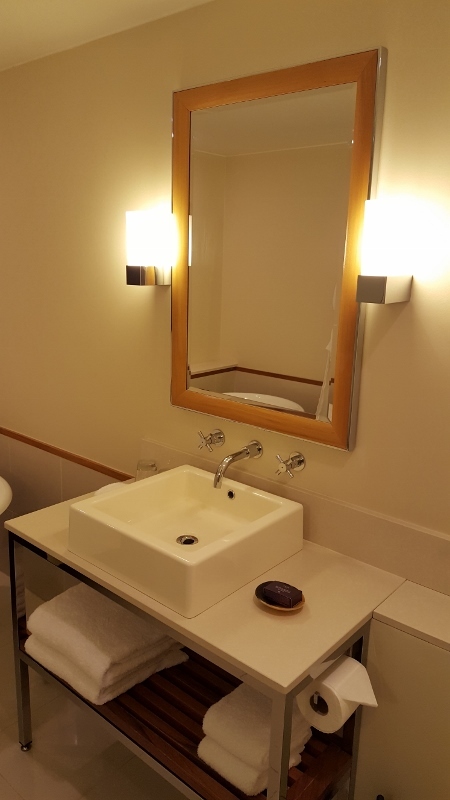 Already a well-known feature in commercial washrooms, touchless taps are now gaining popularity in hotel bathrooms due to their unique combination of comfort and hygiene and convenient hands-free activation. Through the touchless sensor activated control, the taps minimise the spread of bacteria to contribute to a healthy bathroom. This also helps to keep the tap sparkling clean for longer, reducing maintenance and maximising product life. They also often come with a timer which automatically stops the water flow after a desired length of time to reduce wastage. Shower toilets are the norm in Asia and now there is an increasing demand for these hygienic toilet systems in Europe, in both hotels and homes. 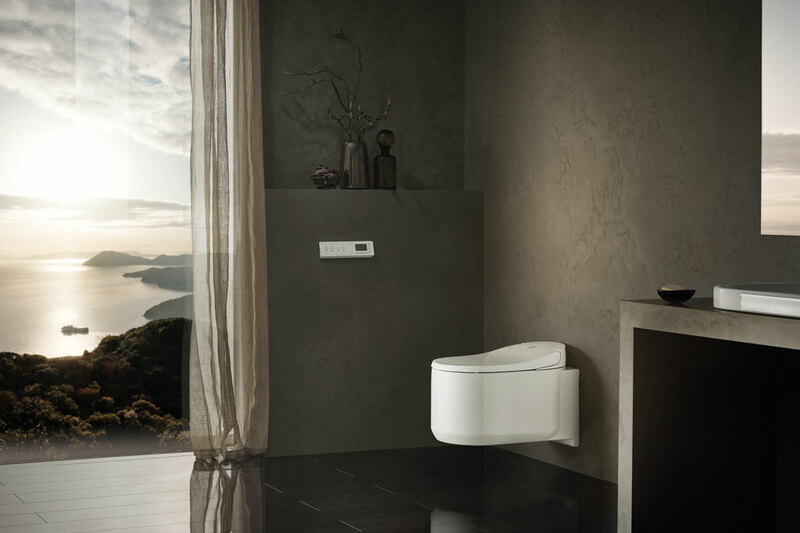 Shower toilets feature an integrated bidet system and are designed to harness the gentle and effective cleansing benefits of water to help deliver optimum hygiene levels in the bathroom, and often come with a host of advanced features. Thanks to the gentle and natural cleansing process, the need for toilet paper is eliminated, thus the systems offer excellent eco-credentials. Certain shower toilets offer smart technology, including extensive options that allow users to create a personalised cleansing routine, including adjusting the water pressure and position of the spray arm, to the preferred temperature, spray pattern and cleansing cycle. The individual settings can be controlled intuitively using either the remote control or via an app which allows users to store all their favourite settings on a digital device. Some brands have also taken into consideration common annoyances for users, such as having to go to the toilet at night, and have combatted this by designing toilets with LED lighting. 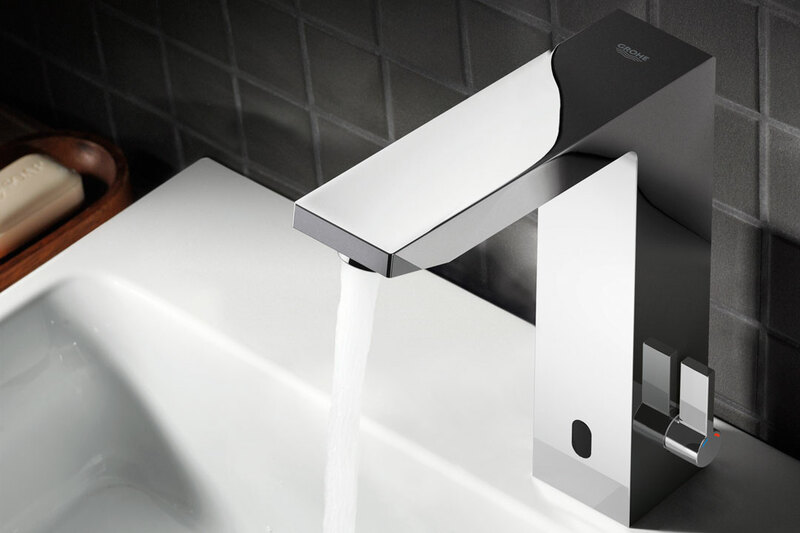 GROHE are one of our recommended suppliers. To keep up to date with their news click here. And, if you are interested in becoming one of our recommended suppliers, click here. 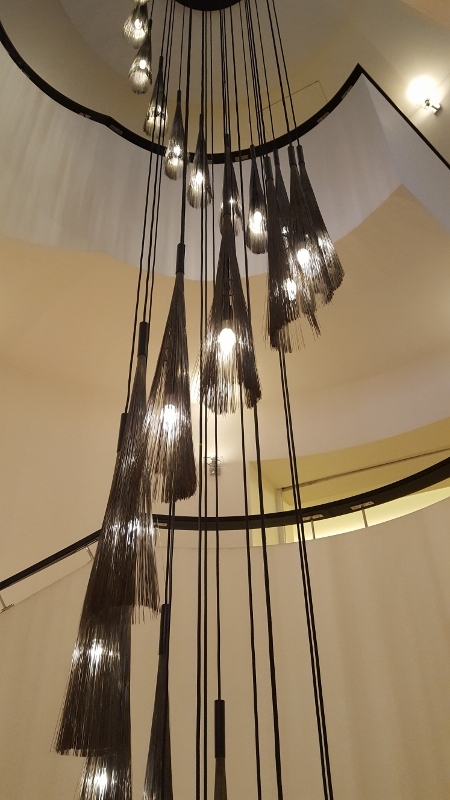 To work with Hotel Designs on our SPA SPOTLIGHT feature across April please contact Jennie Lane / 01992 374098. Located on the Baltic island of Rügen, Hotel am Meer has undergone extensive upgrading within the last 12 months, with innovative technology and modern design blending together to create a 21st Century spa experience like no other. ‘Meerspa’ offers three unique wellbeing experiences – the Sound Wave bathtub audio system, the Skin Touch cosmetic treatment and Vivo Turbo Plus whirl system, all by premier German bathroom solutions manufacturer Kaldewei. 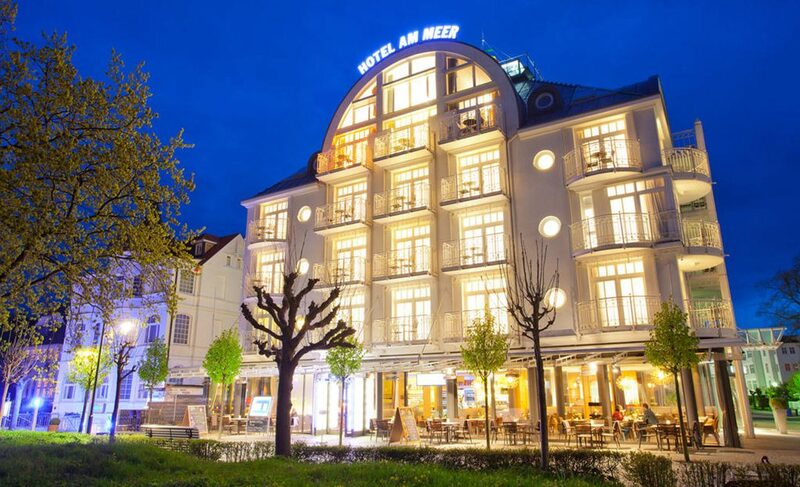 Working with Kaldewei, the 4-star hotel can now offer all of its guests a cosmetic bath with a rejuvenating effect while they immerse themselves in their favourite music, or enjoy the benefits of a massage in the whirl bath. Owner Wolfgang Schewe made the decision to invest in the innovative technology for the spa treatments after listening to the wishes of his guests and talking to staff. Schewe realised there was less demand for ‘classic’ bath treatments, and more of a requirement for a boutique approach, offering a modern experience and utilising the range of individual pampering treatments now available. 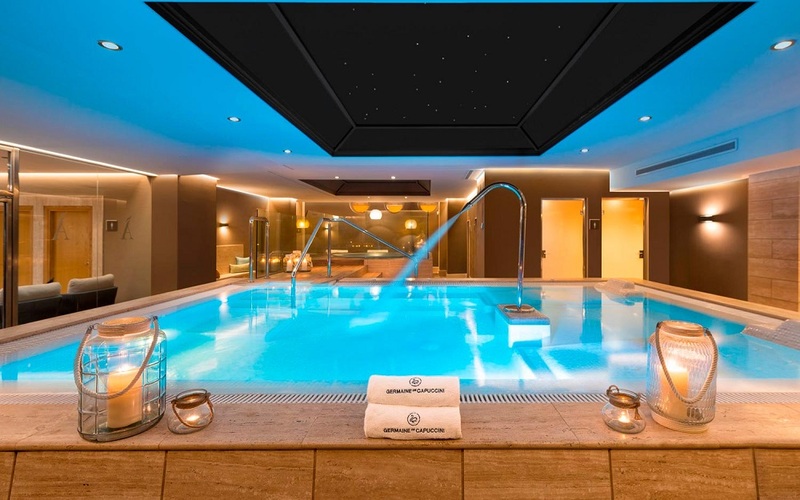 The ‘Meerspa’ has proved to be an instant success with new and existing customers using the services, according to the hotel, particularly the use of the Kaldewei Skin Touch treatment in a hotel, which is a world-first. During a Skin Touch treatment, the bathwater is enriched with millions of microbubbles of air. “Our spa guests particularly like the new Kaldewei Skin Touch system: the microbubbles of air enrich the skin with oxygen, leaving it smooth and supple,” explained Schewe. “Guests really enjoy using this new kind of beauty treatment and appreciate the long-lasting effect of Kaldewei Skin Touch. Kaldewei are one of our recommended suppliers. To keep up to date with their news click here. And, if you are interested in becoming one of our recommended suppliers, click here. The Kohler Waters Spa at The Old Course Hotel in St Andrews will reopen in early 2018 following an extensive multi-million refurbishment. Opening up to the public for the first time, it will offer a luxury spa retreat in the heart of Scotland with a focus on hydrotherapy. As the only Kohler Waters Spa outside the USA, the renovation will see the spa separated into two distinct areas; one dedicated to the guests’ spa journey and the other to leisure and fitness. 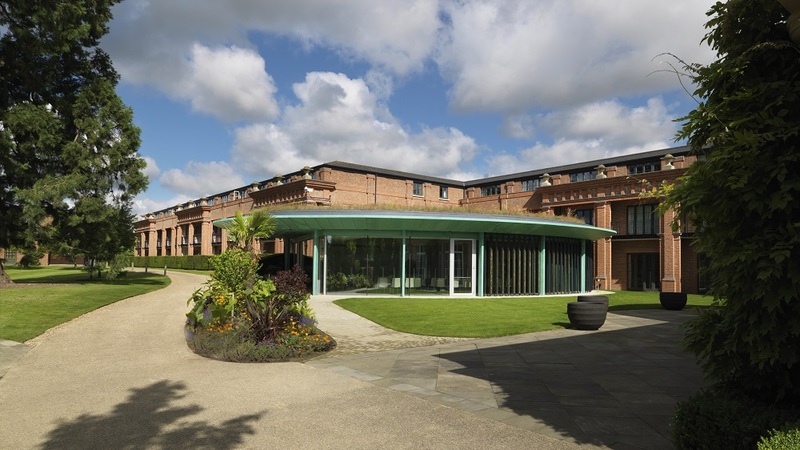 Designed by Sedley Place, the extension and refurbishment of the existing space will create a total of 25,000sqft, featuring 13 treatment rooms including two couple’s rooms, as well as two wet treatment rooms offering Kohler bathing experiences. There will also be a steam room providing deep muscular relaxation and detoxification, a Finnish sauna and a rooftop garden with hot tub. The renovation will see the addition of a new 20m lap pool as part of the large health and fitness centre, as well as a gym area with cardio and resistance stations, a functional fitness space and a group exercise studio, with instructor led classes along with innovative virtual training. 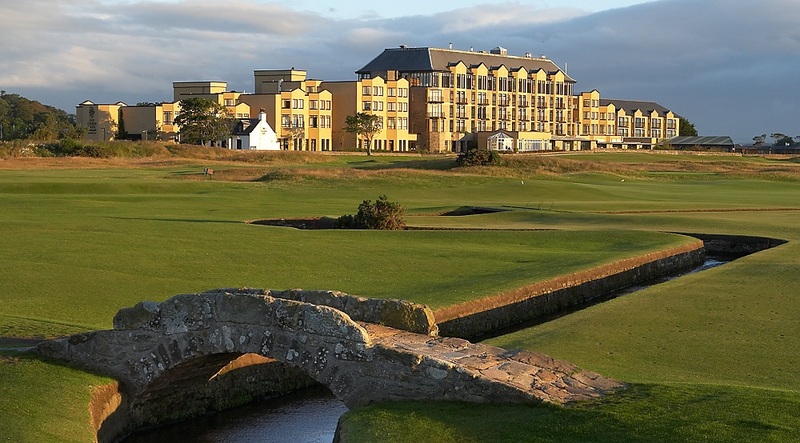 Bordering the renowned 17th Road Hole of the Old Course, the Old Course Hotel is situated in a prime location overlooking the famous links courses, the West Sands Beach and the beautiful Scottish coastline. This prestigious AA five-star awarded hotel features 144 rooms designed by French designer Jacques Garcia, including 35 suites. 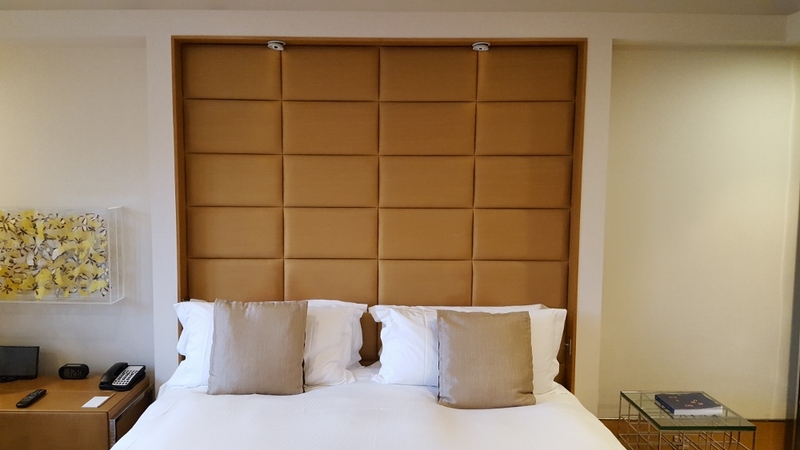 The hotel has also recently undergone a complete refurbishment of its bedrooms. 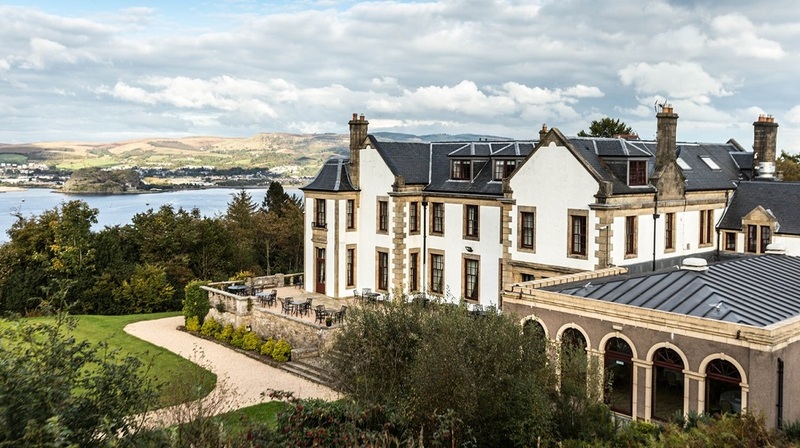 Gleddoch Hotel Spa and Golf just outside Glasgow is the latest upscale hotel to join Best Western Great Britain’s soft brand the BW Premier Collection. 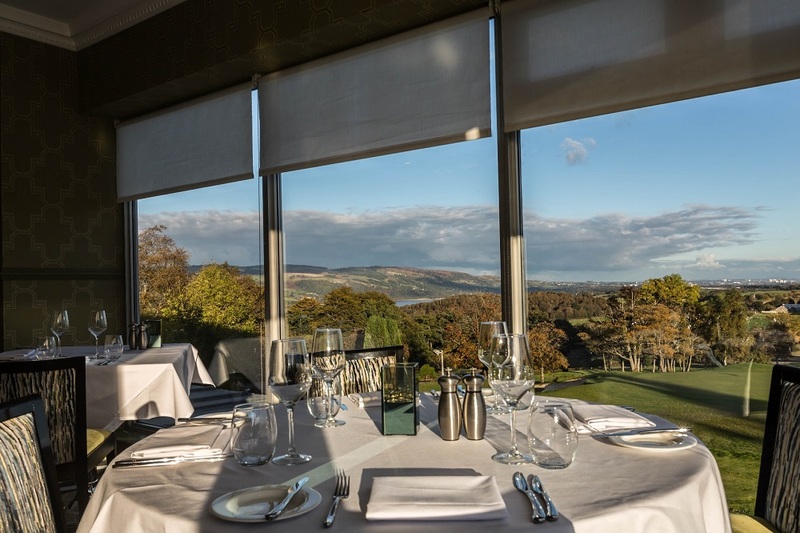 Set in 360 acres the 75 bedroom Gleddoch Hotel Spa and Golf is the second BW Premier Collection property to join in Scotland, following the recruitment of Ten Hill Place in Edinburgh. 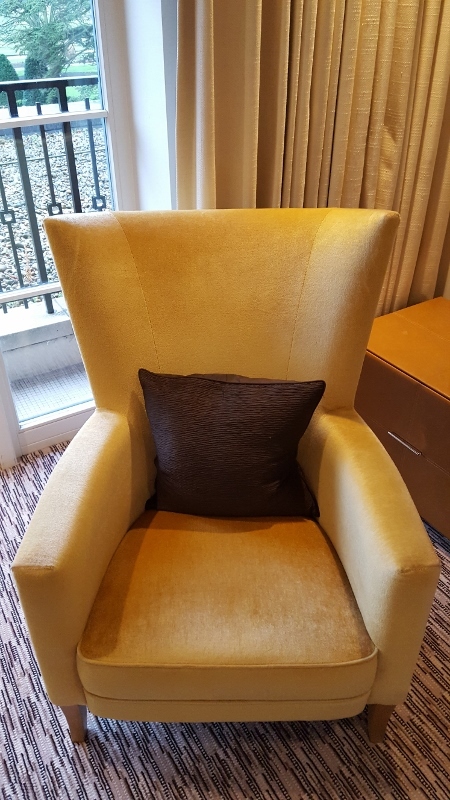 Gleddoch was purchased by the Johal family in late 2015, when they set in motion a full refurbishment programme, which was completed in May 2017. The hotel caters for both leisure and business guests, with conference facilities able to accommodate up to 150 delegates. Conveniently located 15 minutes away from Glasgow International Airport and 20 minutes from Glasgow City Centre, the hotel features a championship 18-hole golf course and a luxurious spa, with facilities including a 17m heated indoor pool, eight tranquil treatments rooms, indoor and outdoor hot tubs, and a conservatory with heated day beds overlooking the River Clyde and the Renfrewshire hills. 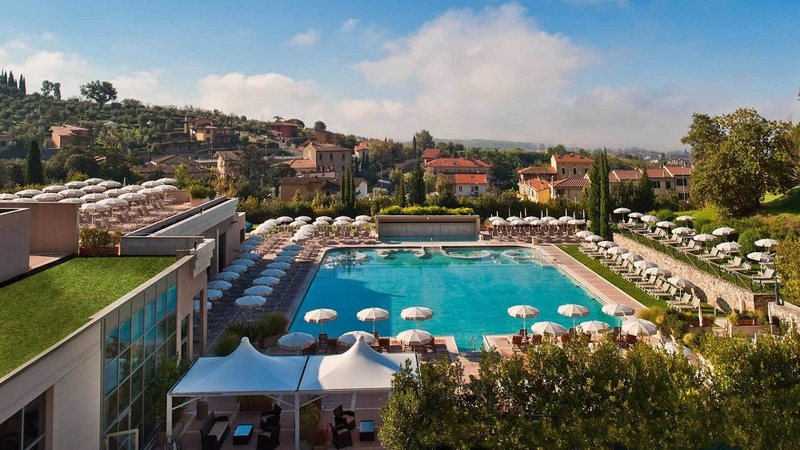 Terre Blanche Hotel Spa Golf Resort has been awarded ‘World’s Best Luxury Golf Resort Spa’ and ‘Western Europe’s Luxury Hideaway Spa’ in the 2017 World Luxury Spa Awards. Focusing on rewarding and praising spas that have outshone beyond the normal means necessary, these recent accolades pay homage to Terre’s Blanche’s five star service and extensive spa facilities. 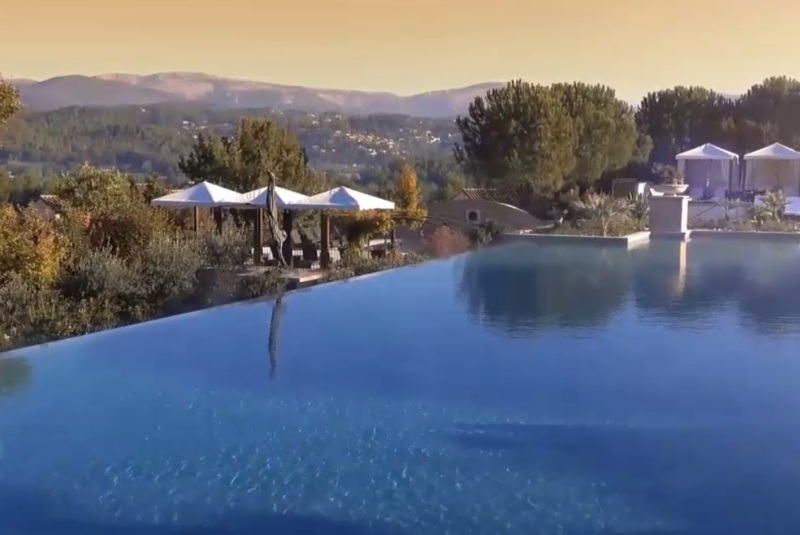 Terre Blanche’s two-story spa is home to 12 treatment rooms, 2 private suites, an Infusion Tea room, a spacious 20m swimming pool, sauna, steam room, laconium, hammam, fitness centre and relaxation room with a tropical shower and ice fountain, suiting to every spa goers needs. New for 2017, Terre Blanche recently announced a new spa partnership with luxury organic cosmetics brand KOS PARIS, reinforcing the hotel’s dedication to eco-solutions and protection of the surrounding Provencal countryside. Wolfscastle Country Hotel, member of The Great Inns of Britain, is proud to announce the opening of a new on site Beauty and Wellness Spa. The hotel’s newest addition is part of the 40th anniversary celebrations which are taking place throughout 2017. The spa offers a high quality experience for guests to indulge in, with three new treatment rooms, a relaxation room and nail bar. Wolfscastle Country Hotel has undergone various reincarnations over the ages to become one of Wales’ leading hotels and restaurants. 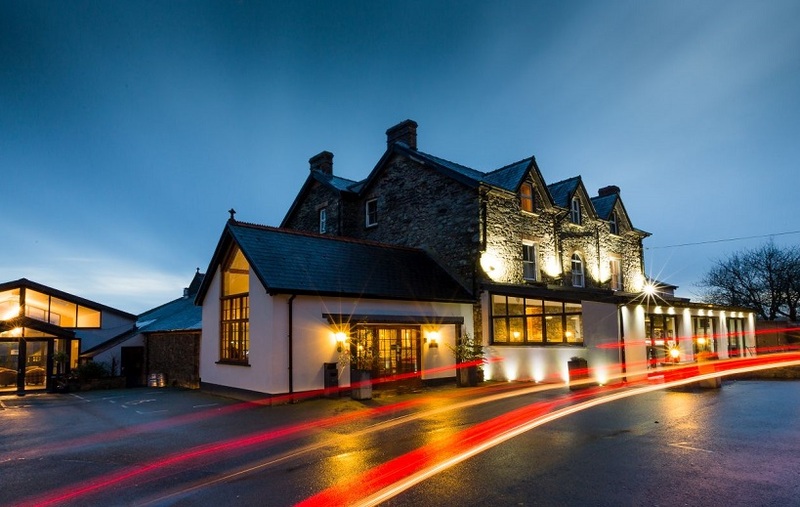 Located in rural Pembrokeshire, the hotel has the advantage of being closely situated to countryside and the coast and boasts the 2 AA Rosette Allt yr Afon restaurant which offers culinary excellence in a Victorian style dining room. 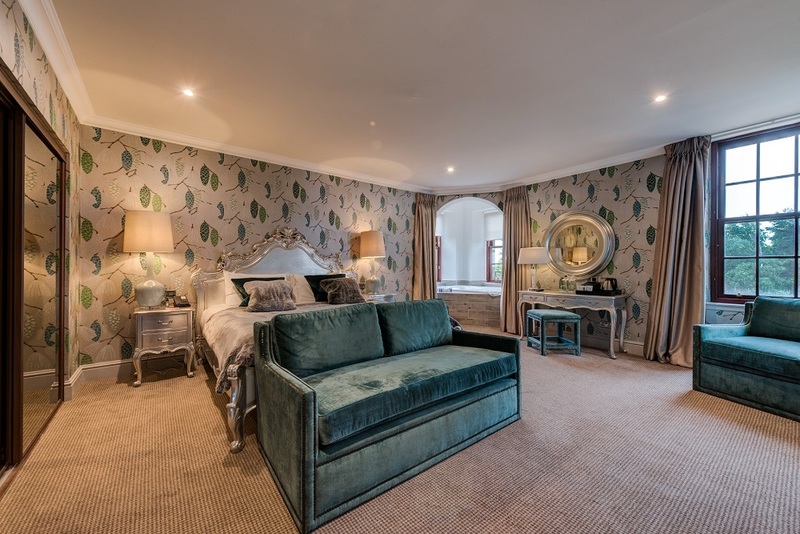 The hotel is famed for their enviable wine list and with over 200 years of experience in wine trading, Wolfscastle Country Hotel is the perfect place to escape, relax and unwind. 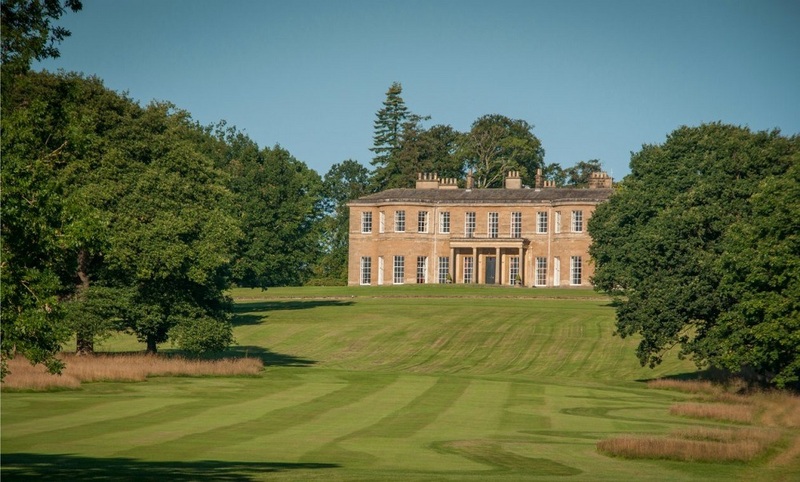 Rudding Park near Harrogate is one of the most highly regarded hotels in the UK, offering luxurious accommodation in a Grade-I listed regency house, set in 300 acres of landscaped gardens and woodland. So, when the hotel management decided to add a new luxury spa complex, the emphasis was on creating a world-class experience for visitors. Architectural practice Enjoy Design was appointed to design the spa, and the result is a three-storey complex that includes 11 treatment rooms, a 17m swimming pool, a juniper log sauna, indoor and outdoor hydrotherapy pool, a restaurant and shop. A major feature of the design is its light-filled relaxation spaces, which can be used all-year-round, despite the colder winters and unreliable summers in the north of England. These include a ground-floor area surrounded on three sides by floor-to-ceiling glass, as well as a fully-glazed rooftop spa and garden. The rooftop spa features an indoor-outdoor infinity pool, where guests can swim between the open and enclosed areas via a waterproof automatic door. A herbal steam bath, luxury steam room, panoramic experience showers and relaxing foot spa enhance the spa journey, whilst outside a spa bath and cabin sauna complete the experience. The double-glazed sauna units incorporate Pilkington Suncool™ 66/33, a high performance solar control glass that helps to reduce transmission of energy from the sun to just 33 per cent, while allowing 66 per cent light transmission. This means that occupants can enjoy uninterrupted views of the grounds in a comfortable environment, whatever the season. The glass was installed using minimalistic aluminium frames from manufacturer Metal Technology, which sit flush together and give the appearance of frameless glazing externally. Gregg Mitchell, director at Enjoy Design, said: “We set out to create a spa facility that is cutting edge, and which would impress the most seasoned spa visitors from around the world. 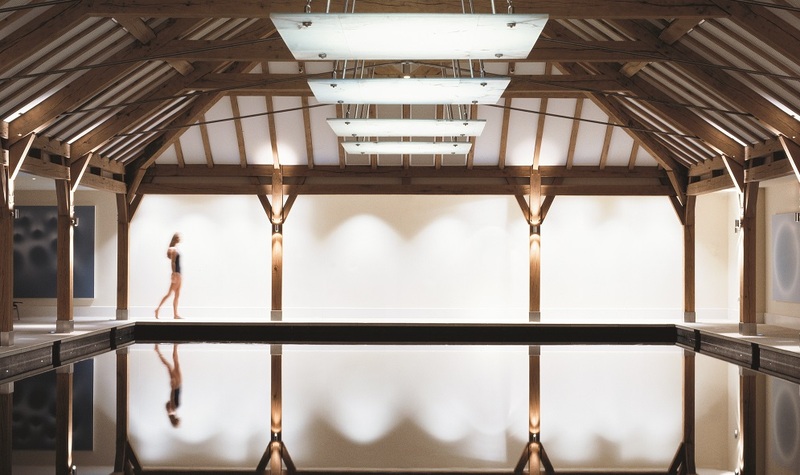 “Being able to relax on a lounger, looking out over an infinity pool at the stunning grounds beyond, in the depths of an English winter is something pretty special, and part of what makes this new spa genuinely world-class. Michael Metcalfe, commercial sales manager at Pilkington United Kingdom Limited, said: “For buildings where much of the envelope is glazed, excessive heat build-up will always be a potential concern. Solar control glass can make a significant difference by cutting the amount of solar energy entering the space, allowing the climate to be controlled much more efficiently. 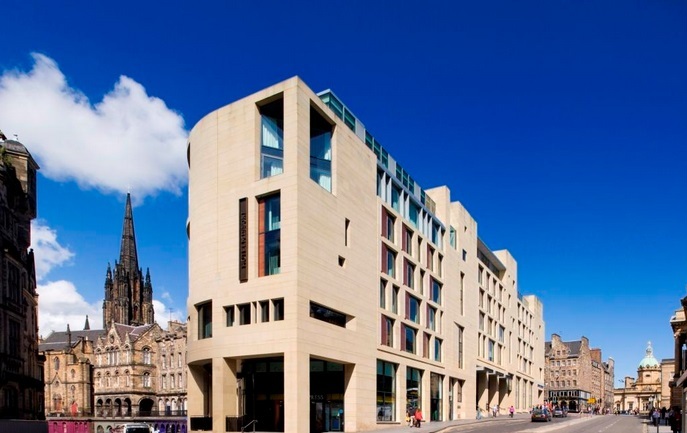 Situated at the intersection of some of Edinburgh’s most historic streets, The G&V Royal Mile Hotel invokes the city’s vibrant, creative and charismatic appeal – injecting new colour into a dramatic and storied backdrop. 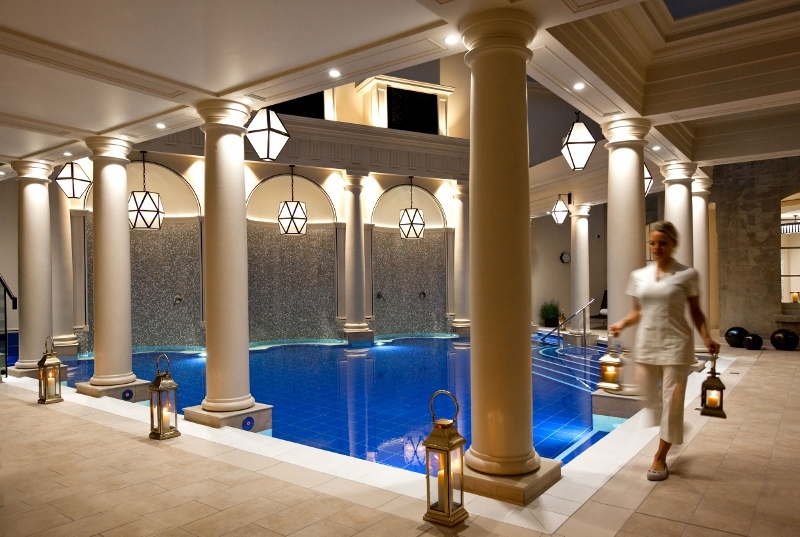 The new Rudding Park Spa is one of the finest in the country and recaptures Harrogate’s spa heritage using natural waters from the grounds at Rudding Park. 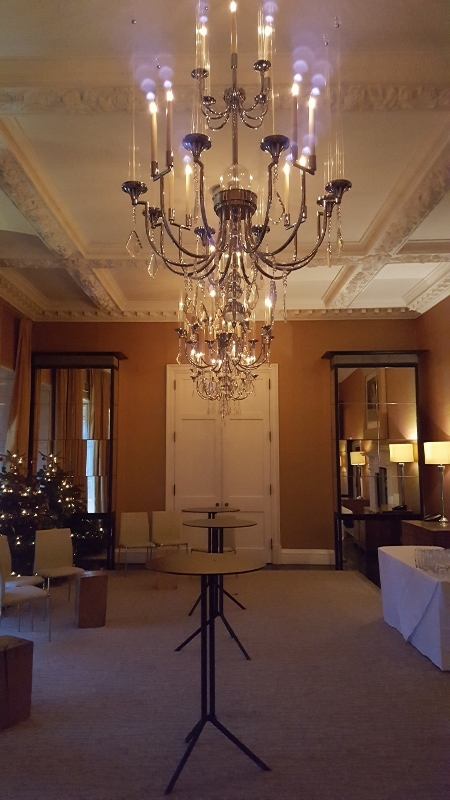 A privately owned luxury hotel, Rudding Park also has 90 bedrooms, two restaurants and a kitchen garden, private cinema, two golf courses and conference and events space. Set in 300 acres of landscaped gardens and woodland, Rudding Park is one of the most beautiful Harrogate hotels. Today the Culloden Estate and Spa is one of the finest and most distinguished 5 star hotels in the Province. The Culloden was built in 1876 by a Mr. William Auchinleck Robinson, JP and former MP. It took two and a half years to complete, and most of the stone came from Scotland by boat, arriving in the County Down fishing village of Portaferry and being brought to the site by horse and cart. 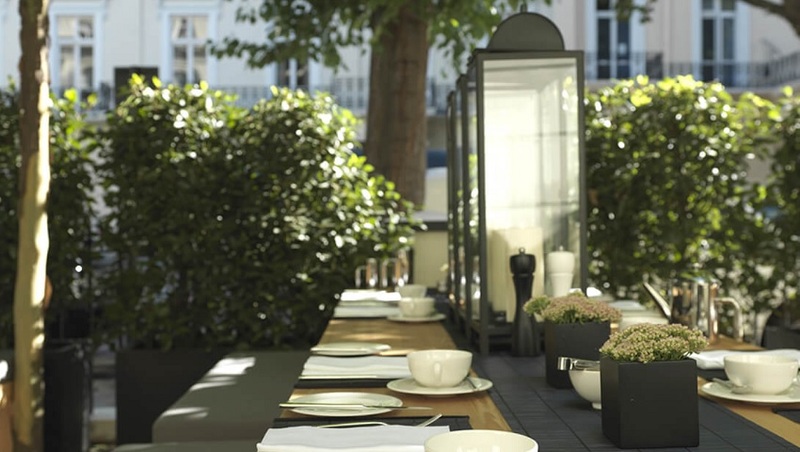 Perfectly positioned on a quiet tree lined street on the edge of London’s magnificent Hyde Park and close to the West End and Paddington, this boutique hotel is the minimalist and state of focus creation by famed British designer Anouska Hempel. 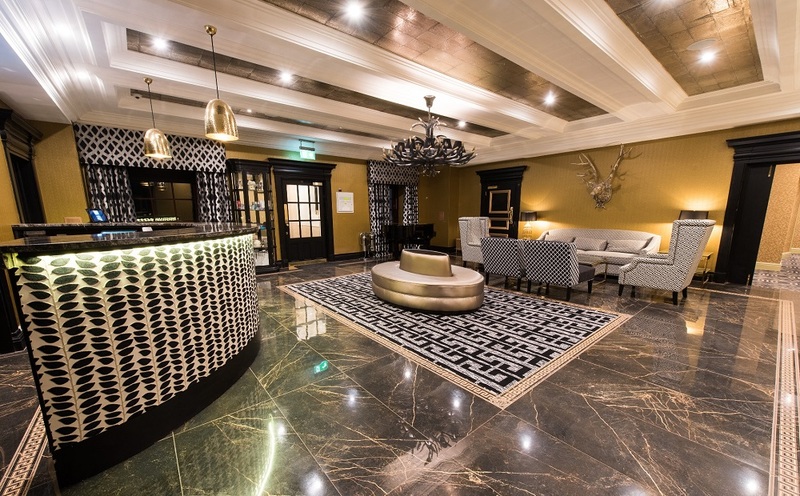 The Culloden Estate & Spa has announced the completion of a renovation programme which has seen Hastings Hotels invest £4.8m in their leading 5 star property over the last three years. 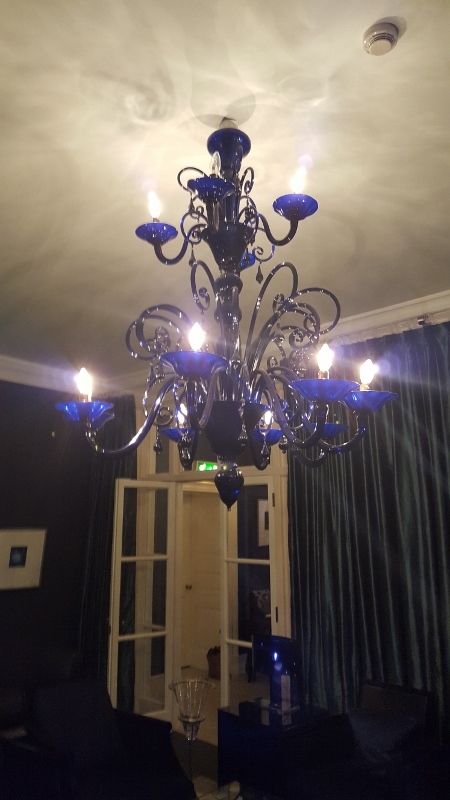 This week, the Estate’s General Manager Eoin O’Sullivan was joined by the group’s Managing Director, Howard Hastings, to unveil the complete redevelopment of two floors of bedrooms which has seen a selection of the smaller bedrooms remodelled to be augmented in size, bringing the hotel stock to 98. 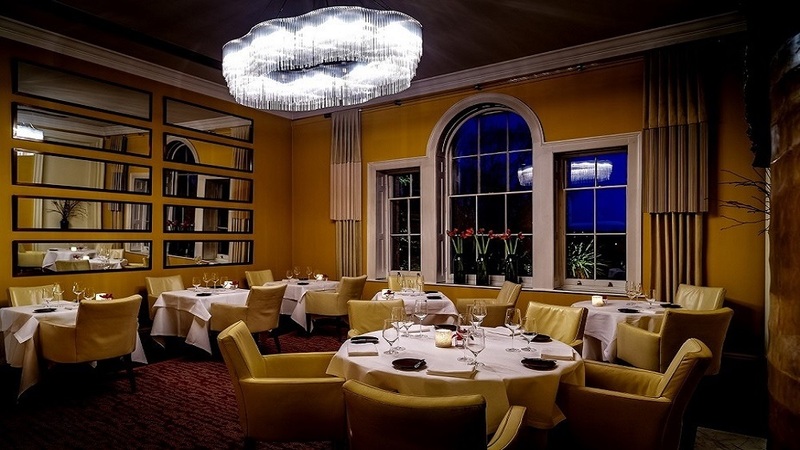 Also included in the renovation programme has been the extensive redevelopment of the Mitre Restaurant, the Stuart Suite and the Spa which has ensured that the Culloden remains one of the top hotels in Ireland. Eoin O’Sullivan, General Manager of the Culloden Estate & Spa said: “We are thrilled to have completed a three year renovation programme which has seen almost £5m spent on Northern Ireland’s premier 5-star hotel. 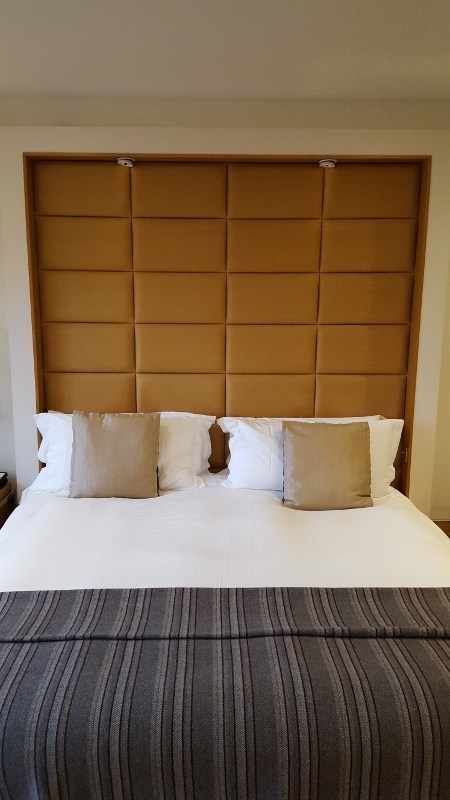 As part of this programme we now have a brand new facade to a wing of the hotel with larger rooms and magnificent bathrooms overlooking landscaped gardens, all with the aim of providing our guests with an even more enjoyable experience when they stay at the Culloden. “As well as the bedroom project, we undertook a complete redesign of the Mitre restaurant together with new menus created by Chef McKnight, and an upgraded spa with new quiet room, exclusive nail bar and remodelled gym facilities as well as a beautiful refurbishment of the Stuart Suite for our weddings, conferences, and banquets to enjoy. In addition we have installed a brand new lift allowing easier access to the new rooms and to the spa. “It is continual investment like this that has enabled us to pick up prestigious awards throughout Ireland. 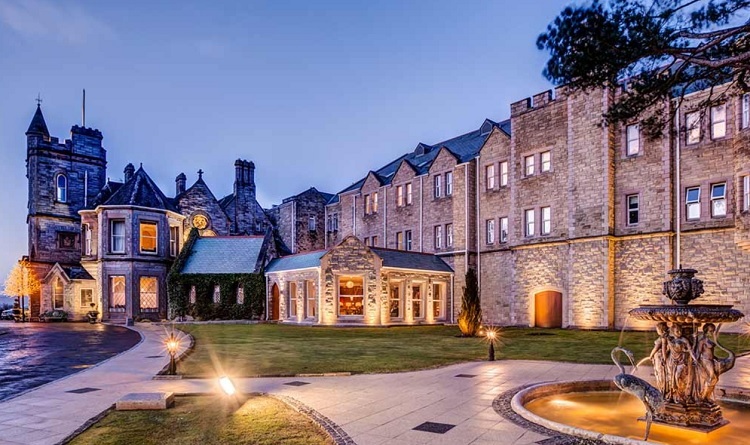 Most recently, this year we were delighted to have been named Luxury Hotel of the Year at the Irish Hotel Awards and highly commended at the first ever Georgina Campbell Breakfast Awards in the Best 5-Star Hotel category,” Eoin added. Ophir PR will be taking a group press trip to visit the Culloden Estate and Spa to celebrate the renovations and 50 years of The Culloden from 3rd-5th June 2017. 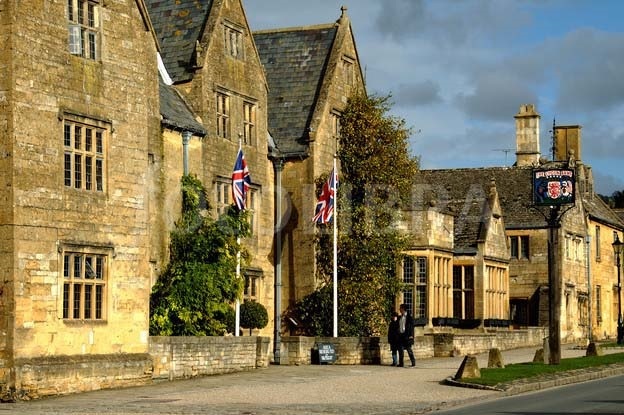 Spa Creators has secured a new spa contract for the prestigious Lygon Arms, High St, Broadway. 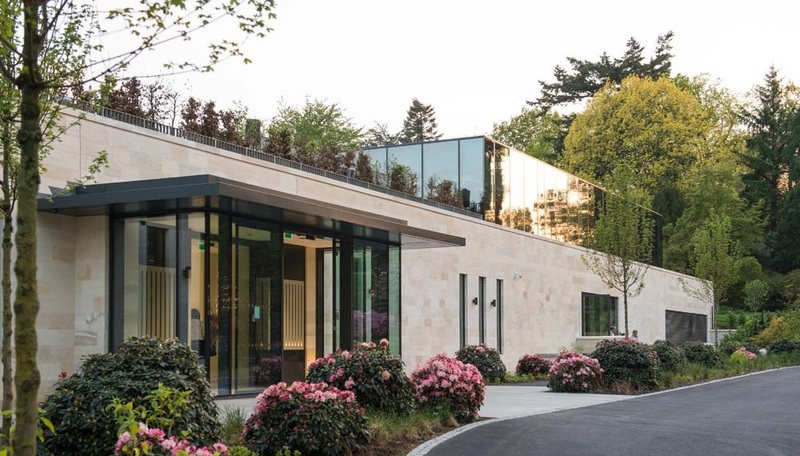 Spa Creators were selected for this project based on their great design credentials and ability to mix the older style property with a contemporary and fresh feeling spa environment. The brief is to breathe new life into this heritage building. – The gym is also having a refurbishment and there will be new male and female changing rooms and a new fitness suite. – The project is due for completion in the early summer of 2017 and is part of a total hotel refurbishment. 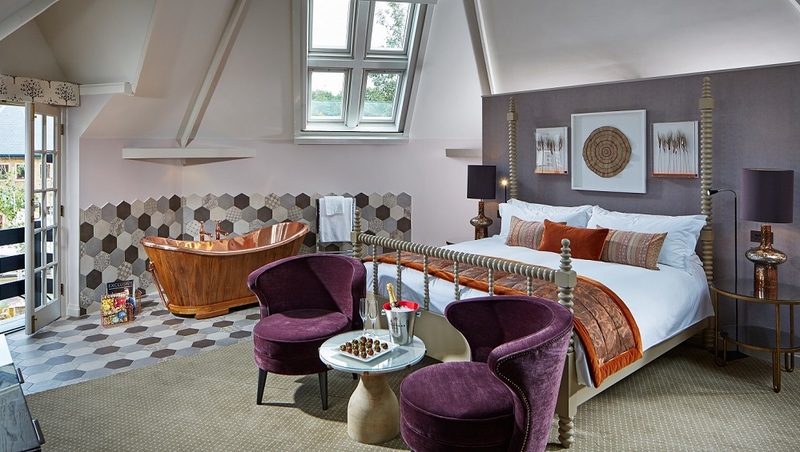 The four–star Lygon Arms is a country house hotel with 78 bedrooms and suites, and parking for 120 cars, that has been welcoming travellers since the 16th century. Built of mellow Cotswold stone, the hotel has been lovingly restored while retaining many of the hotel’s original features. When not exploring the Cotswold villages and countryside, get pampered in the hotel’s beauty rooms or relax in the Health & Leisure Club. 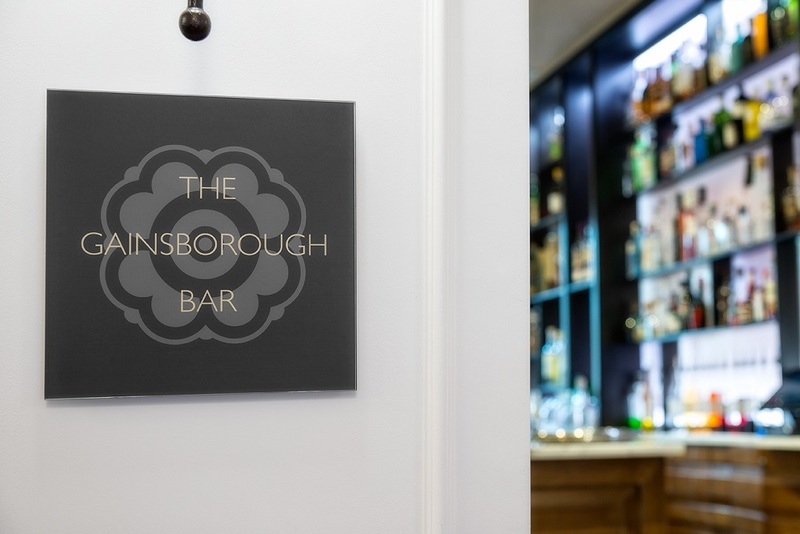 As well as the 2 AA Rosette Great Hall restaurant, there’s now also Barrington’s Brasserie, an intimate all day dining eatery, serving quintessential English classics and modern European cuisine. Now open for the spring and summer season with a fresh, new look following a winter facelift, Amàre Marbella Beach Hotel looks and feels better than ever, and you will too after a visit to its new-look Spa. 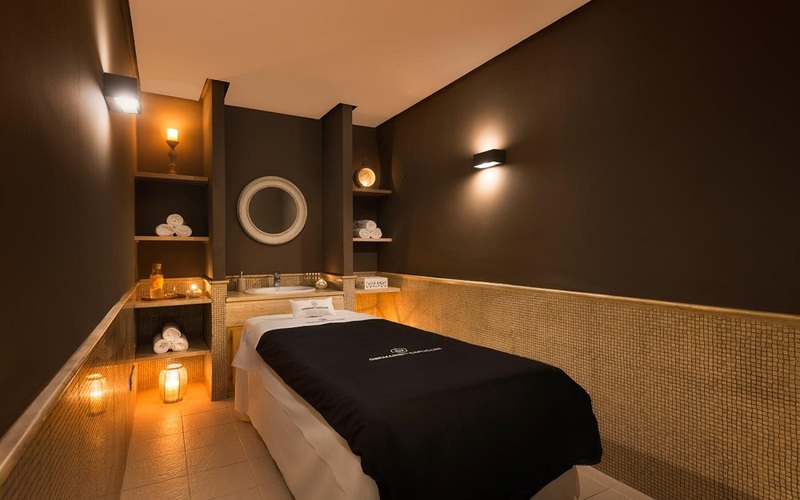 The Amàre Marbella Spa by Germaine de Capuccini has also had a refresh this winter, emerging with calming interiors, a relaxing colour palate and subtle new lighting. Enhancements to Amàre Marbella’s Spa include a restful new colour palate and lighting throughout public areas and treatment rooms, revamped changing rooms and reception area and new flooring in the water zone. Stylish AA Four-Star Rosette hotel Ye Olde Bell, has announced the opening of a new multimillion pound luxury spa for late Spring 2017. The new 17,000sq-ft spa will offer ten hot and cold experiences including a custom-made ‘snowstorm’ experience, the only one of its kind in the UK, Sabbia Med Sunlight therapy, steambath, salt cascade room, mud Rasul, Swiss pine sauna, mineralising stonebath, herbal laconium, shower walk and indoor-to-outdoor hydropool. Located in the rural village of Barnby Moor on the corners of the three counties of Nottinghamshire, Yorkshire, and Lincolnshire, but with easy access just off the A1 and a direct train service to London, the modern and elegant spa will feature six treatment rooms, two of which are double, a hair boutique and express salon. Built over two floors, guests arrive at reception through imposing double oak doors where they are greeted by a sweeping hand-carved oak staircase and glass panelling. Inside the spa, in addition to the experiences, there will be an open fire, numerous relaxation areas, luxurious changing rooms and a stunning bar and restaurant with theatre style kitchen. Outside will feature a garden and relaxation areas. 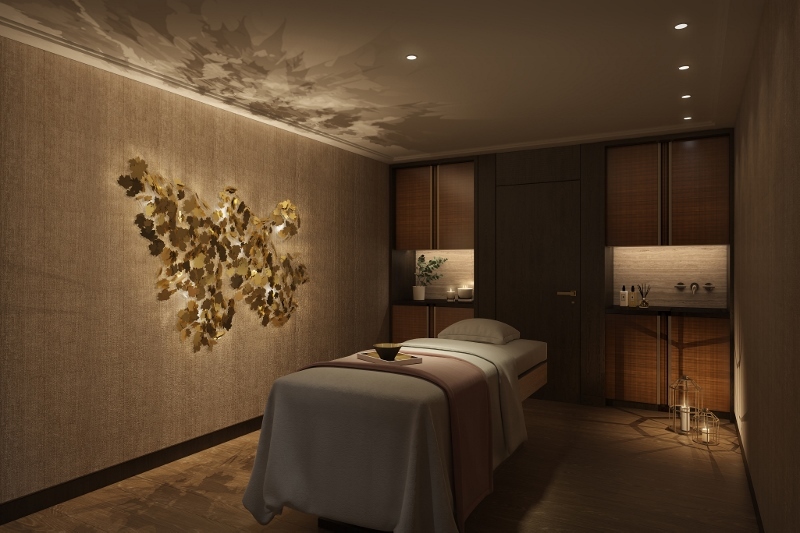 The spa itself has been designed in conjunction with Spa Vision by Spa Directors, Sadie Ardron-Levack and Lizzie Bath. 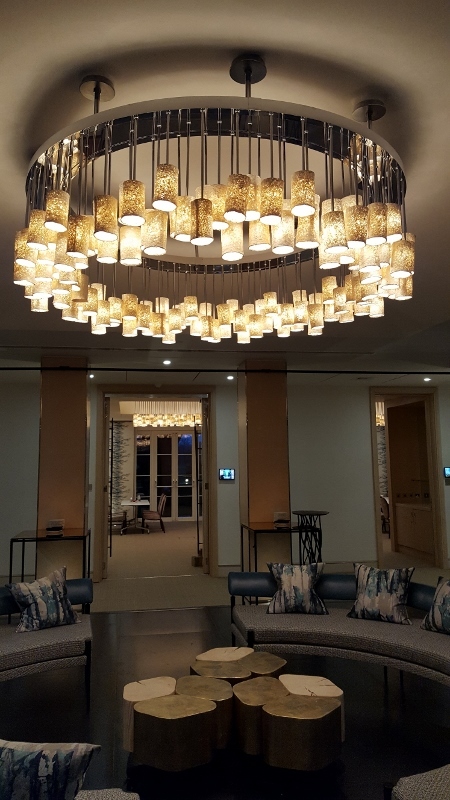 The interior design has been led by Hilary Levack and designer Tonia Wynne of Homestead Interiors, both of whom did the full design refurbishment of the hotel. The spa will sit adjacent to the AA Four-Star Rosette Ye Olde Bell and will complement this historic hotel, yet at the same add 21st century contemporary style. 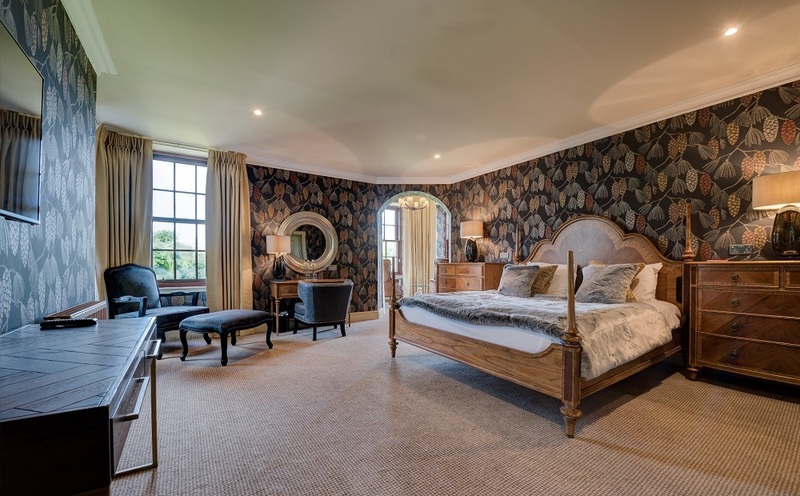 Ye Olde Bell has been passionately restored by its private owners offering 59 individually styled plush rooms, stunning suites and luxury lodges. Rudding Park, Harrogate’s leading luxury hotel, has announced that its £9.5 million spa development is nearing completion with a highly-anticipated opening on 2 May 2017. Rudding Park Spa will bring a world destination spa to the heart of Yorkshire for the very first time, as well as re-capturing Harrogate’s spa town heritage by drawing natural waters from the grounds of Rudding Park. Designed to capture and reflect the beauty of its natural surroundings, the spa will introduce an awe-inspiring Roof Top Spa and Garden, which promises to take guests to new heights of rejuvenation and relaxation. 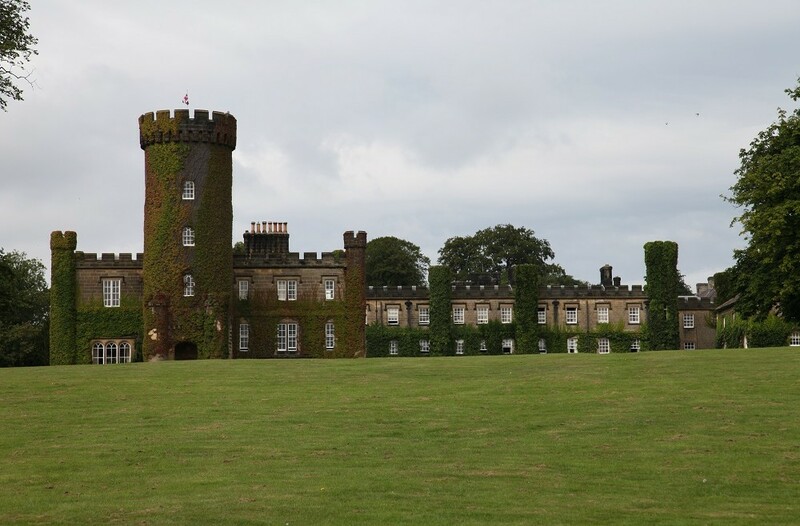 Rudding Park Roof Top Spa Garden will be a UK first, a masterpiece of design curated by horticulturalist Matthew Wilson, an expert in his field who regularly appears on Gardener’s Question Time on BBC Radio 4. 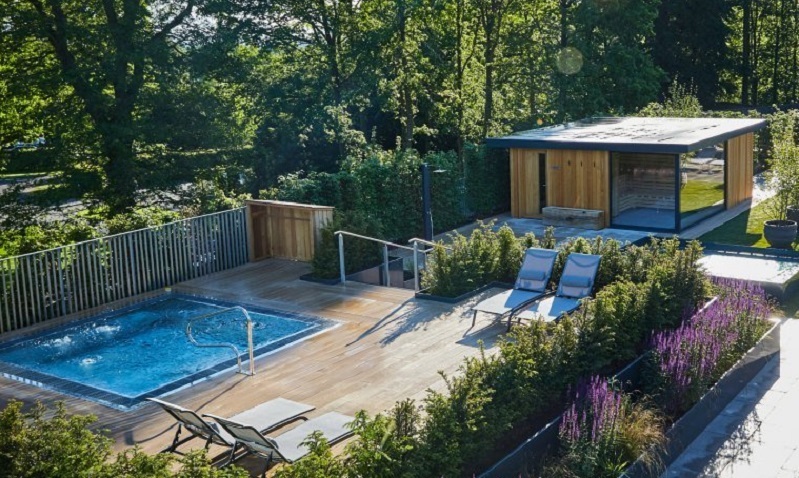 The Roof Top Spa Garden will provide a haven of peace and tranquillity for guests to enjoy the Garden Sauna Cabin, Sun Deck and Spa Bath, amongst beautiful trees, shrubs and plants. 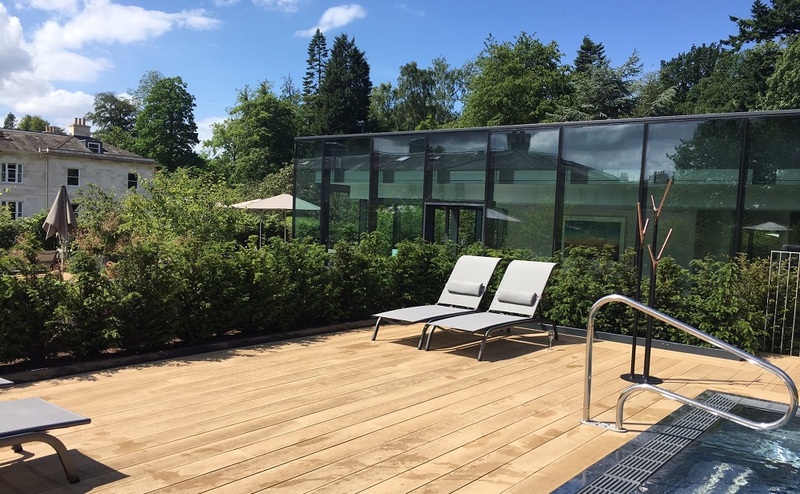 The Roof Top Spa will feature a Hydrotherapy Infinity Pool drawing guests outdoors and a Panoramic Sauna infused with seasonal scents of flora and fauna, which both overlook the beautifully landscaped gardens of Rudding Park. 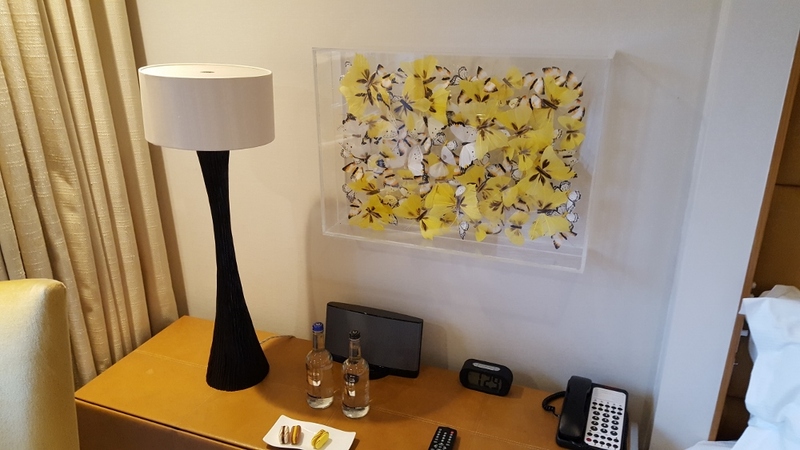 Peter Banks, Managing Director, commented: “The philosophy of the owners is to continually invest in the business to ensure that the physical products offered to guests are of the highest quality, in keeping with our exceptional standards. We are immensely proud of what the revolutionary Rudding Park Spa will bring, not only to the hotel and our guests, but to both Harrogate and Yorkshire as leading UK tourism destinations. 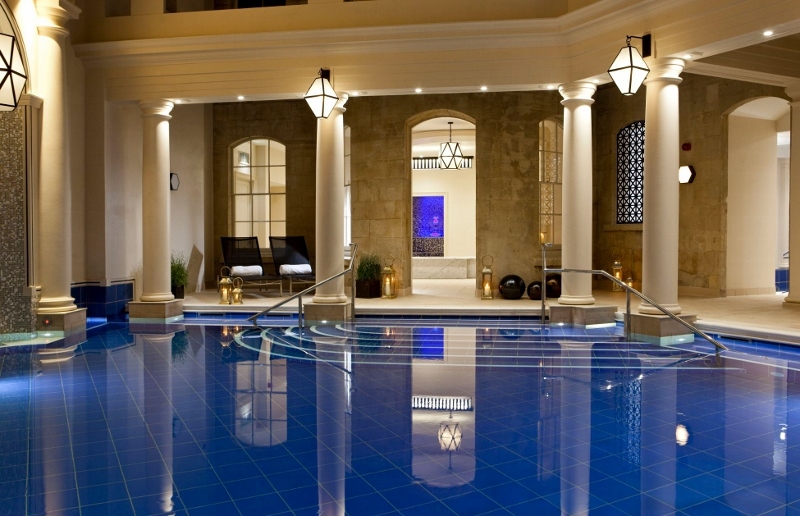 Rudding Park Spa has been twelve years in the making and I’m delighted to see the team’s hard work come to fruition”. 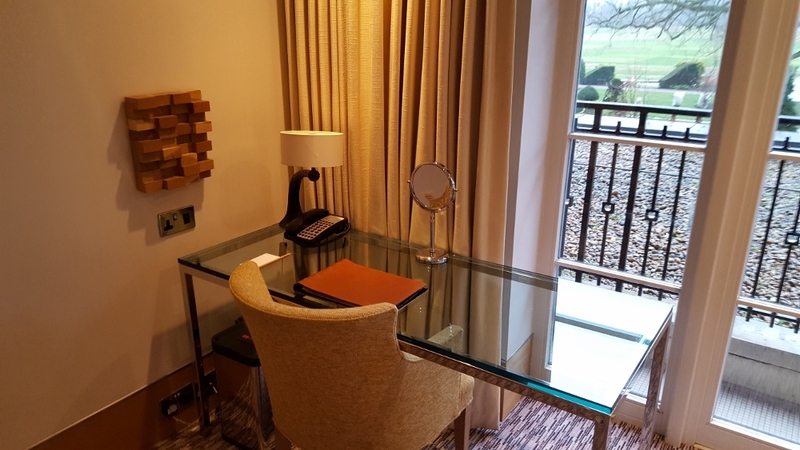 For further information, please visit www.ruddingpark.co.uk, call 01423 871350 and follow the developments on Twitter @RuddingPark, Instagram @RuddingParkHotel and Facebook (Rudding Park Hotel). 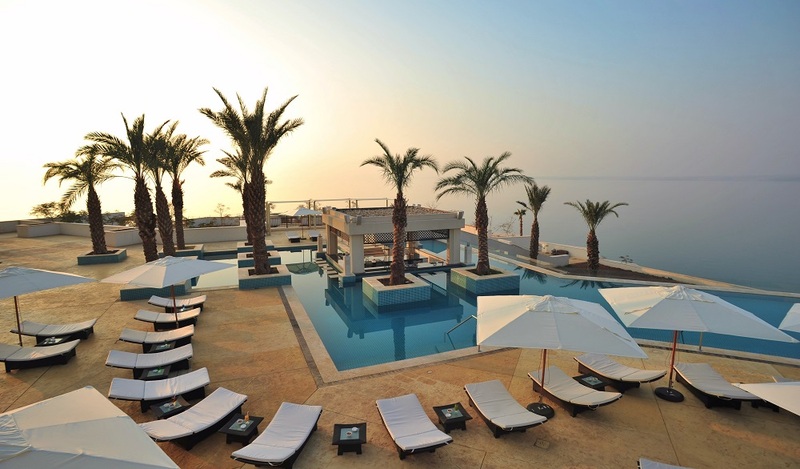 Hilton has announced the official opening of Hilton Dead Sea Resort & Spa. The opening marks the first Hilton Hotels & Resorts property in Jordan. Strategically located at the lowest point on Earth on the eastern shores of the Dead Sea, the 285-room contemporary hotel is an exclusive resort of choice for the discerning international and local traveller. The hotel’s innovative facility provides exclusive direct beach access through two elevators that lead to a floating pool surrounded by a sun deck. The stylish guest rooms offer breathtaking views over the Dead Sea and feature terraces and contemporary amenities including Wi-Fi, a 24-hour fitness centre and an infinity pool. 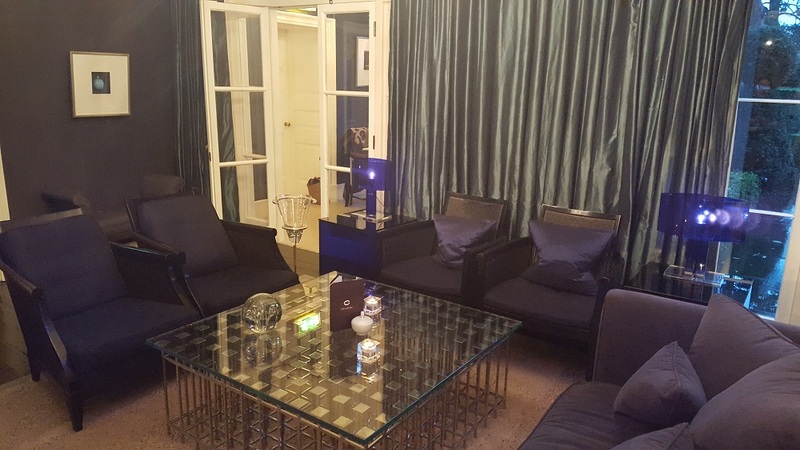 The executive rooms and suites have access to the only Executive lounge in the area. Click here for more information. . . The prestigious spa hotel, Grotta Giusti, Tuscany, part of hotel brand Italian Hospitality Collection, is delighted to announce a number of luxurious new upgrades for spring 2017. 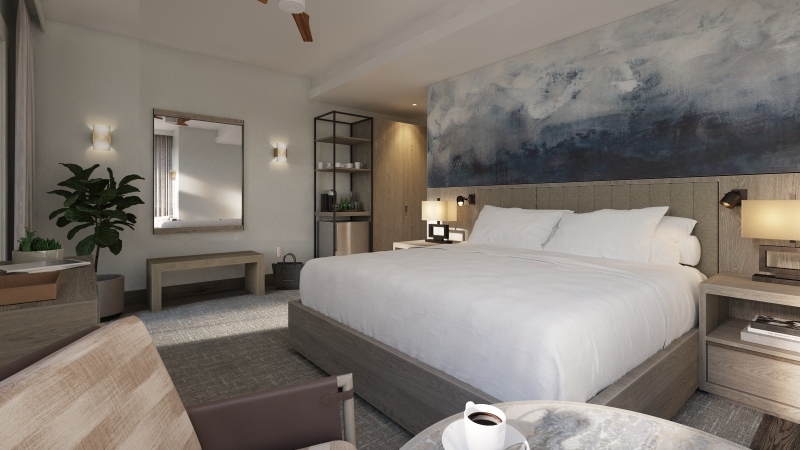 All 64 rooms, the bar, and restaurant will receive a lavish makeover and several exciting new additions will be made, including six dog-friendly rooms and a wine-tasting area. The refurbishments in the 19th century property, will be unveiled when the hotel reopens on 9th March 2017. Home to the largest thermal caves in Europe, these improvements will serve to cement Grotta Giusti’s position as one of the most unique and exclusive spa hotels in the region. 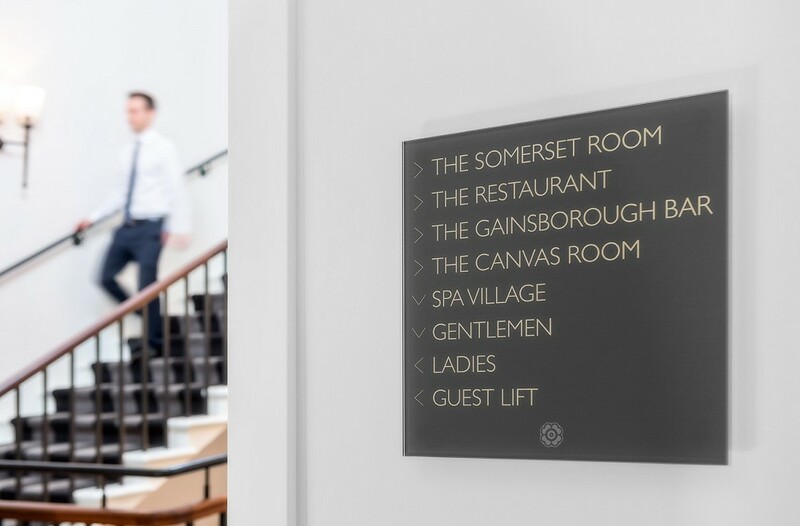 In addition to a design makeover, the hotel’s 64 bedrooms will be equipped with high-tech touches, such as LED ceiling lights, improved Wi-Fi and more plug sockets for guest convenience, whilst staying true to the classical style the hotel is renowned for. Ten new, interconnecting rooms will appeal to larger families. Dog lovers will be delighted by the addition of six canine-friendly rooms, with special flooring creating a scratch resistant surface for man’s best friend to play on and the hotel’s sprawling 45-hectare grounds providing plenty of space to explore. 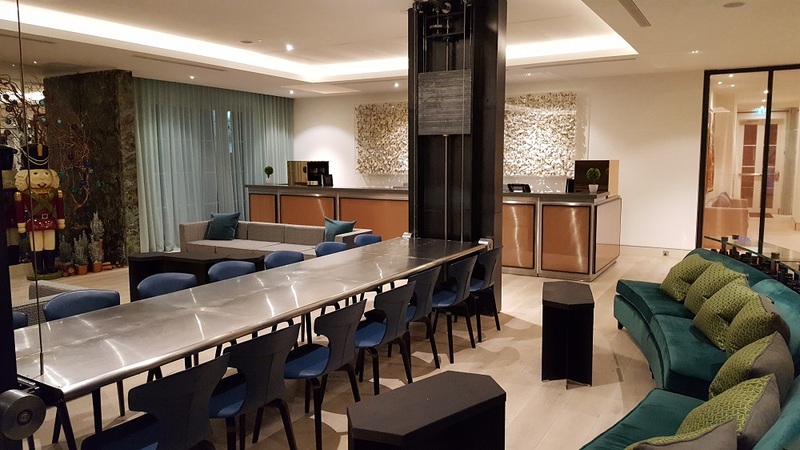 Guests will be able to unwind at the end of the day over an indulgent wine-tasting session at the new area by the restaurant, sampling the very best local wines accompanied by mouth-watering canapés. The interior design overhaul will breathe new life into Grotta Giusti’s guest rooms, bar and restaurant, creating light and airy spaces which reflect the tranquillity of the surrounding Tuscan countryside. With a decadent history as the former home of famed poet Giuseppe Giusti, Grotta Giusti is now a prestigious hotel that has maintained its historical air and natural charm with a backdrop of antique furnishings and paintings. It offers 64 lavish rooms with marble bathrooms, a large outdoor thermal swimming pool, a large summer pool in the garden and a private underground thermal cave and lake, where guests can scuba dive or indulge in a spot of floating therapy. ‘20 miles from central London…’. Think of that radius and you likely imagine yourself still amongst the concrete jungle of Greater London. But with The Grove in mind, it’s time for a re-think. This 18th century country estate replete with championship golf course and world-class spa is as far removed from the hustle and bustle of the capital as is possible to imagine. 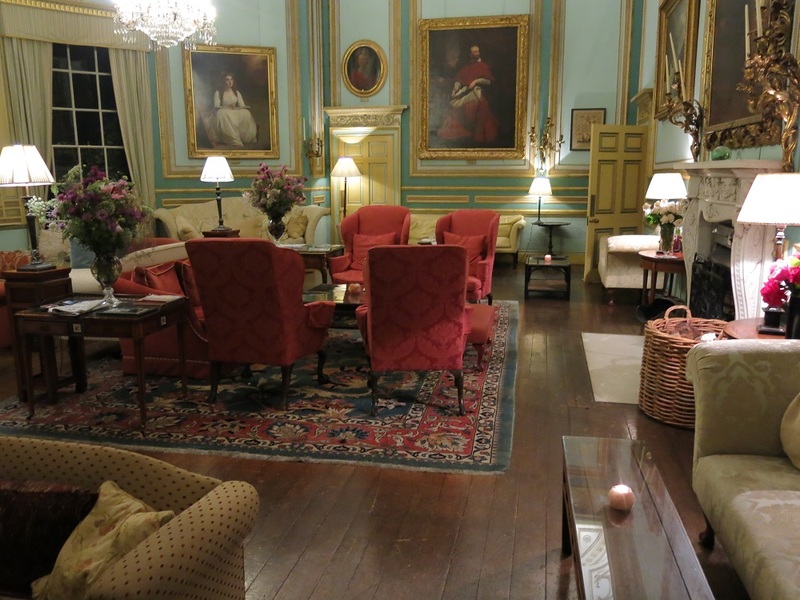 The historic mansion, formerly the family seat of the Clarendon earldom and which forms only part of The Grove’s offering, has a storied past – having at various points in time been a girls’ boarding school, a health centre and a riding school. These days, it’s better-known as a haunt for the famously wealthy and wealthily famous. But all of that’s to ignore its sublime mix of the traditional and contemporary – or as interior design director Martin Hulbert calls it; ‘grand and groovy’. For the most part, he’s done a good job of capturing both. The luxury hotel is split into two very distinct (perhaps too distinct) parts – the original mansion and the new wing – and Hulbert’s latest work at The Grove has been concentrated on revisiting the event spaces, which within the modern West Wing definitely lean towards his ‘contemporary and groovy’ ethos. 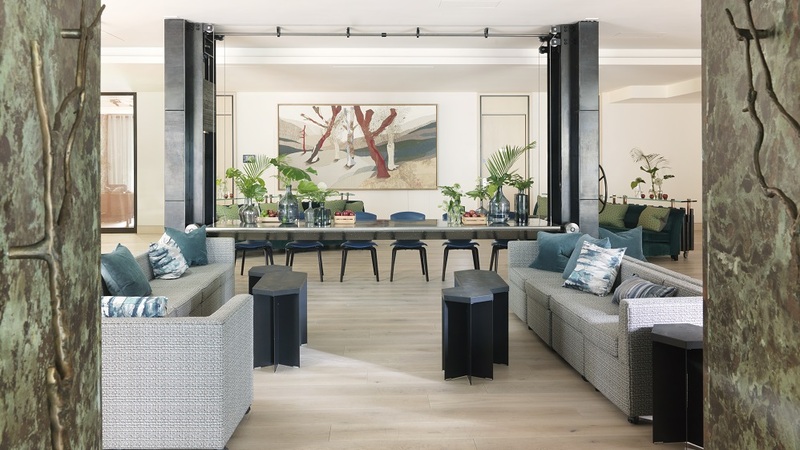 More than a decade on from his original vision for the 5-star luxury resort, Hulbert’s design group Martin Hulbert Design (MHD) has incorporated a two-fold brief of revamping and reinvigorating existing spaces with reconfiguring and reimagining to give each a unique identity. Of the venue, Hulbert himself says: “The Grove is an incredibly inspiring place for special events, full of wit and flair, wonderfully unexpected and naturally inspired – the original interiors had lasted really well, they just needed a shot in the arm, something to push them forward into the future. “Coming back to The Grove, we knew that it still had to be quirky and interactive, but things have changed in the last 15 years, people now want a beautiful space to work with,” he adds. With the new suites – Cedar, Amber and Ivory – he has given the people exactly what they want. The two separate units of Amber and Ivory both now have a dedicated entrance with their own reception desks. Artwork plays an extensive role in the décor of the newly imagined suites; with much of it commissioned especially. What impresses me most is the way the feel of the spaces is maintained however they are used, with the flexibility of the spaces based on guests’ requests having also been well thought through in the design process. 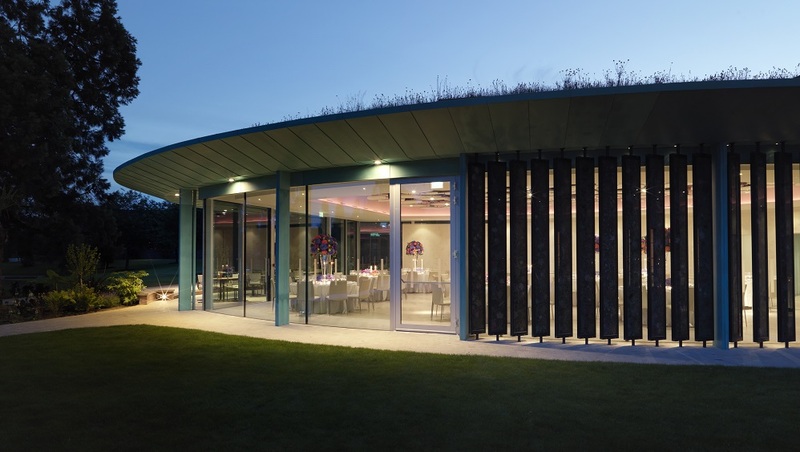 The jewel in the crown of The Grove’s spaces, however, is the oval-shaped pavilion that houses the Cedar Suite – the first time MHD has led the architectural process. With the structure jutting out into the hotel’s gardens, Hulbert has incorporated the natural light from them perfectly with the walls of the pavilion being formed of floor-to-ceiling glass and its eco-green-roof. Inside, the wooden floor is outshone by a ceiling of what I’m told are ‘acoustic leaves’ – inspired by those in the Royal Albert Hall. 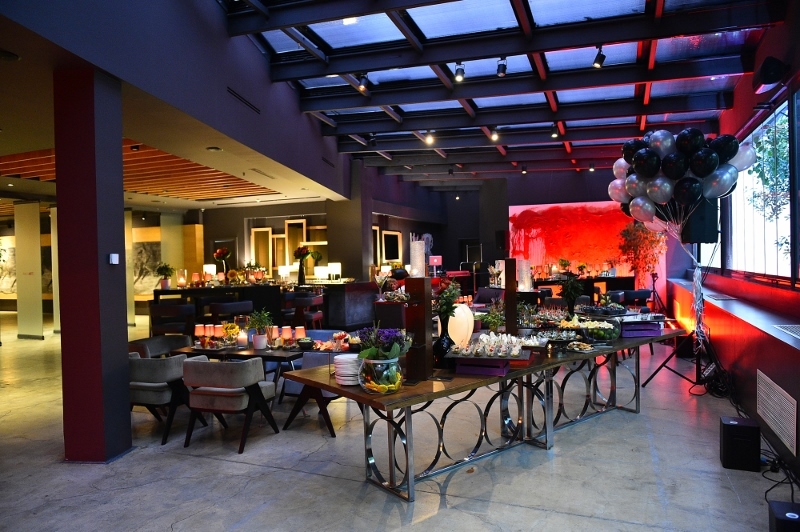 For an event space, it makes for a refreshingly welcome visual treat. 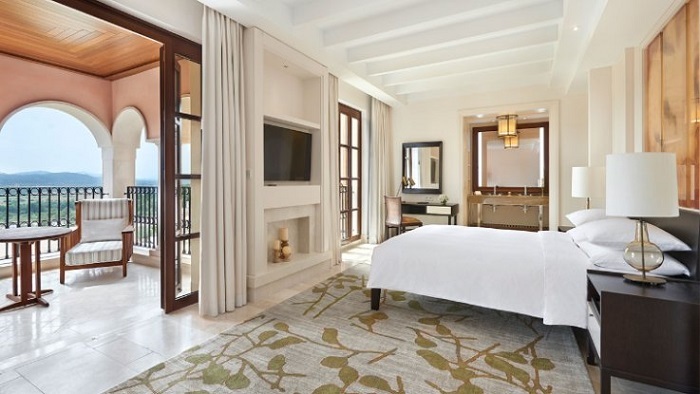 From the pavilion, the Cedar Suite extends into the main building – with a new private entrance. The entrance canopy has also been specially designed, using Verdigris copper, uniting the spaces. And every element is bespoke, either commissioned by, or designed by, MHD. In the centre of the entrance room is a working sculpture – creating a focal point – namely a vast steel table, suspended between two steel columns, which moves up and down using a series of weights and pulleys. The result is a multitude of options: a table for dinner, a cocktail bar, a centrepiece to cover in flowers or a canopy to dance underneath, setting the elegant yet industrial feel that is evident throughout. And this is what Hulbert has done well with these spaces; there is a definite minimalist blend between industrial chic and natural inspiration, which gives The Grove a uniqueness in selling the spaces over other venues. After my tour, I get a chance to check out the hotel’s renowned Sequoia spa, which itself has also recently been renovated. It is a spectacular example of a hotel wellbeing complex; being both state-of-the-art and thoroughly well-designed. During a short show-round, I’m told it has recently been recognised by the Good Spa Awards and it’s easy to see why. I check into my Deluxe room in the more modern west wing – housing 191 of the hotel’s rooms – and am struck immediately by the excellent size of the room, which means having everything required of a room without it feeling cluttered; followed closely by the stunning views over the grounds from my balcony window. 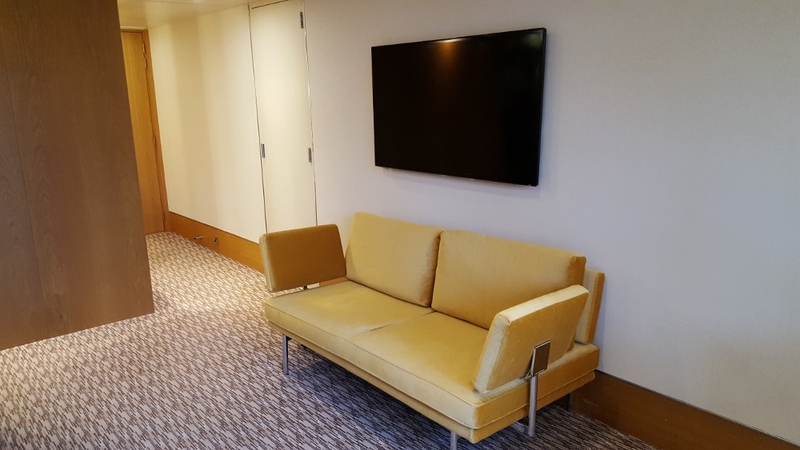 The nature-inspired design seen throughout the public spaces downstairs is prevalent in the rooms, with autumnal browns, golds and yellows strongly featured throughout. The choice of furniture and textural finishes to the room are of an extremely high quality. 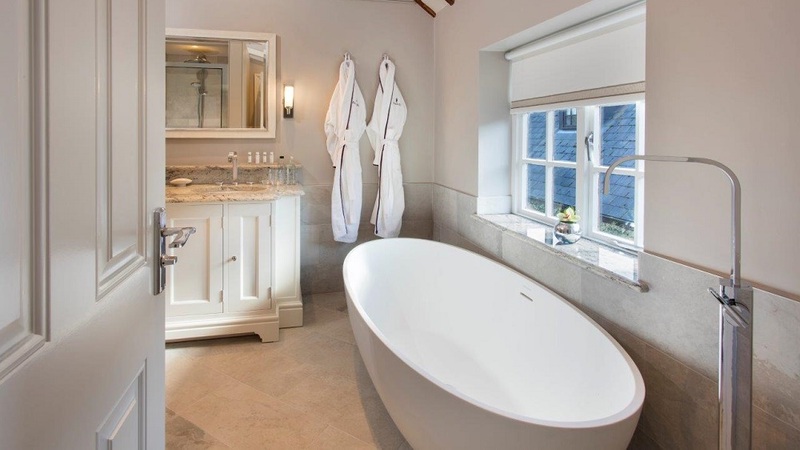 The bathroom is just as luxurious, with a free-standing roll-top bathtub and a separate shower unit; the artwork and colour scheme continuing the theme from the living area. The workspace is suitably supplied with power sockets; the 50-inch smart, plasma TV is well placed; and if there was one negative to mark it was the modest wardrobe space – only an issue if more than one person was staying in the room. Editor’s note: The aesthetics of these rooms – while clean, modern, defined and unfussy – might not be to everyone’s taste for a ‘country retreat’. For a more period, rustic and ornate feel, one of the 26 rooms in the original mansion might better suit this remit. The overtly contemporary elements of the west wing aren’t dominant here, instead rooms retain a traditional finish with antiques, deeper hues and opulent fabrics. On my way down to dinner, I notice how much artwork plays a role in giving The Grove an edge. 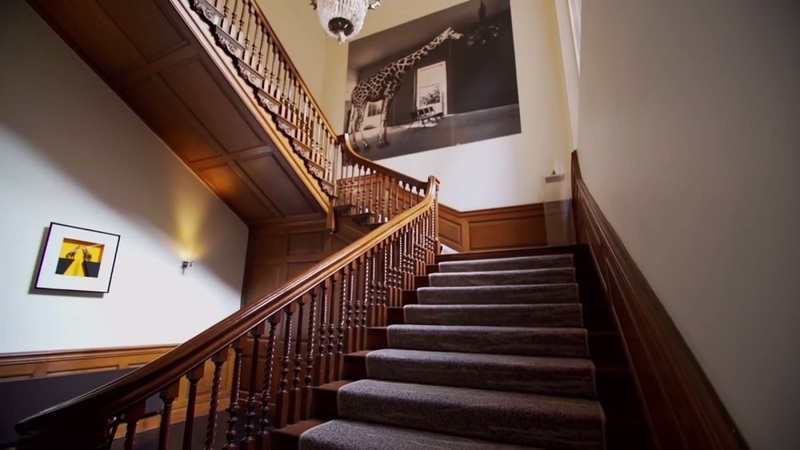 Even dotted around amongst the corridors, stairways and outdoor grounds are eccentric, conversation-starting fixtures and pieces – from modern representations of Margaret Thatcher to ornate chandeliers to black-and-white photography of giraffes – which gives off just the right amount of edginess. Indeed, in a nod to Hulbert’s philosophy of blending contemporary with traditional, the lounges and the fine-dining offering Colette’s – the ‘heart’ of the Mansion – retain the character and tradition with a period-style feel, grand ceilings and elegant furniture, while The Glasshouse and its connecting bar definitely represent the sleek modernity, with up-to-the-minute décor of blacks, reds and whites; while the gastro-pub-style Stables sits somewhere comfortably between the two. I had heard of The Grove before my stay. Afterwards, I can now express first-hand why this is a unique venue. The levels of service are as expected from a 5-star hotel. 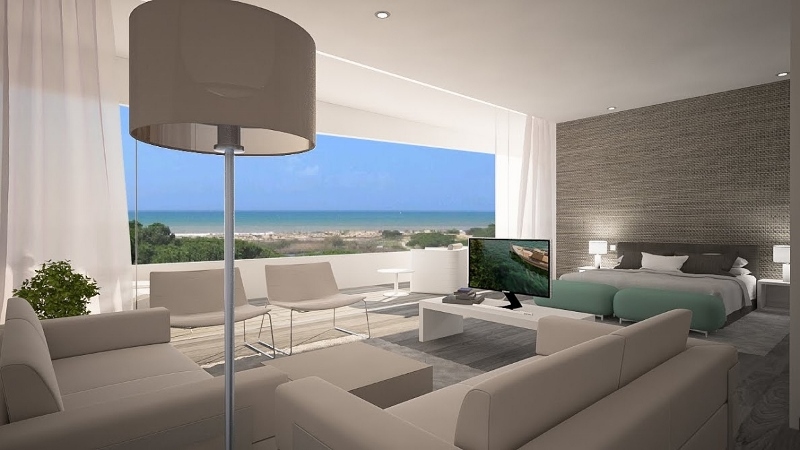 The standard of the interiors, the amenities and produce cannot be faulted. But the dichotomous design approach in respecting the old and embracing the new makes this a ‘country estate’ with a difference, and a very good one at that. 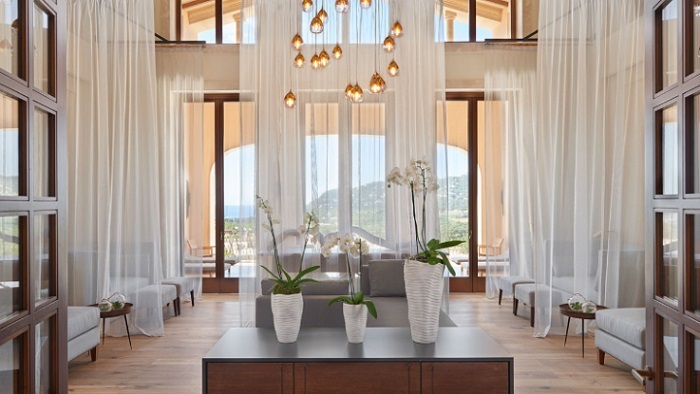 Since its opening on 1st June 2016, Park Hyatt Mallorca is now home to the Serenitas Spa, an exclusive day spa and wellness centre, at the heart of the resort. Taking inspiration from the island’s azure seas, abundant nature, fragrant aromas and Mediterranean breeze, Serenitas Spa draws on Mallorca’s rich history and cultural heritage to offer guests an unforgettable wellbeing experience. Serenitas Spa is a peaceful oasis, surrounded by landscaped gardens and gorgeous views of the Serra de Llevant Mountains. Embraced on arrival with aromas of lavender and rosemary, guests can choose from a wide variety of authentic treatments that draw on the hotel’s rural Balearic locale. Treatments incorporate the island’s minerals, herbs, fruits, salt and water, with ingredients such as pine, lavender, almonds, olive oil, citrus and aloe vera. Signature treatments are based on healing ingredients dating back thousands of years and all treatments are individually tailored to meet the needs of every guest. Each treatment is devoted to the complete wellbeing of the body, mind, spirit and soul. Bespoke wellness programmes can also be created incorporating activities such as trekking, yoga, Pilates, fitness, water-based activities and nutritive food care. Serenitas Spa features seven treatment rooms, including two couples treatment rooms, each with their own terrace and bath. Additional features include a room with an alpha quartz sand bed (the only one of its kind on the island), sauna, steam rooms, sensory showers and vitality pool. Guests can also enjoy the Serenitas Spa lounge, a calming relaxation room that opens onto a beautiful outdoor terrace with breath-taking sea and mountain views. Dedicated to providing a truly memorable and holistic spa experience, Serenitas offers uncompromised attention to detail in an atmosphere of peace, calm and serenity. Every element of the spa has been created to evoke traditional Mallorcan authenticity and hospitality. Local traditions and philosophies are seamlessly integrated with acclaimed international brands such as ESPA, time honoured rituals and contemporary techniques. For the more active, a state-of-the-art 24-hour Fitness Centre offers the latest training equipment. 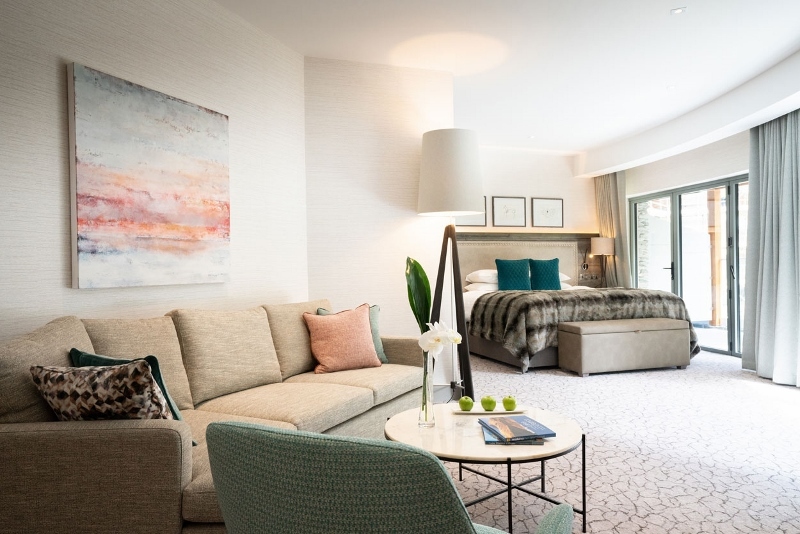 Pennyhill Park, an exclusive hotel & spa in Bagshot, Surrey, has launched a new luxury stand-alone suite, The Granary, to complement its collection of individually-designed bedrooms and suites. 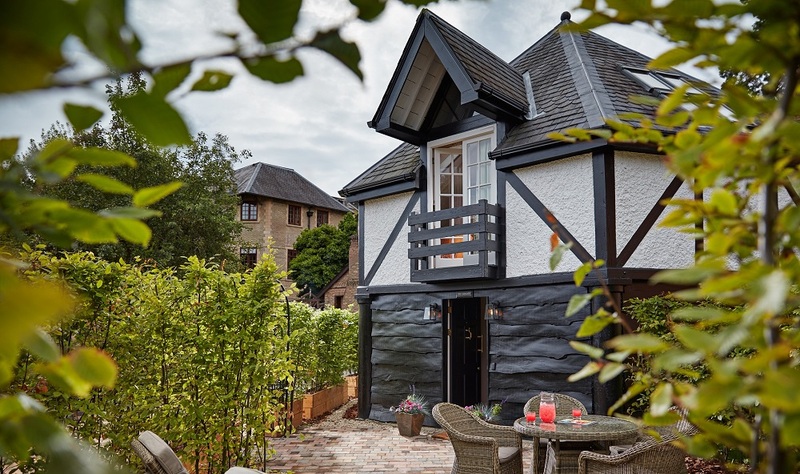 Located adjacent to The Spa, the unusual hexagonal building is set within a bijou private landscaped garden and features exposed roof beams, a double height ceiling and a luxurious free-standing bath in the stunning master bedroom. 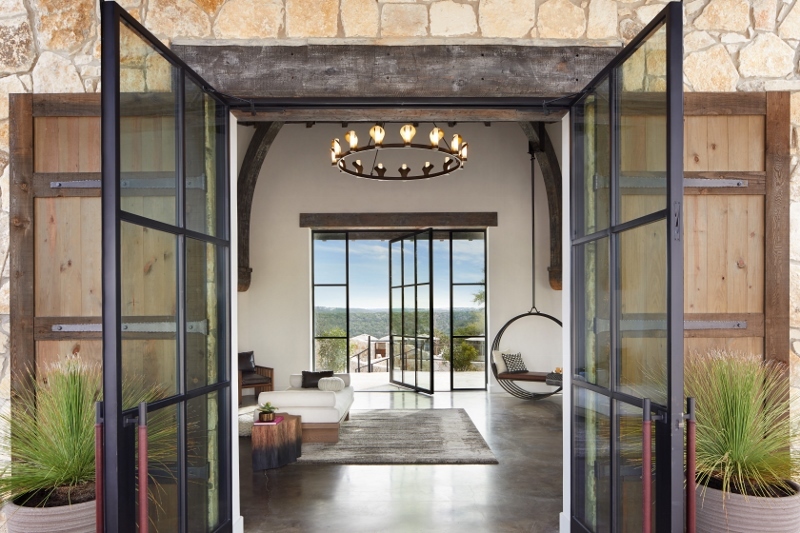 The interior design scheme, created by Trevillion Interiors, pays homage to the building’s original use as a granary, blending deep, warm rustic colours and sumptuous fabrics with stylish contemporary fixtures and fittings. 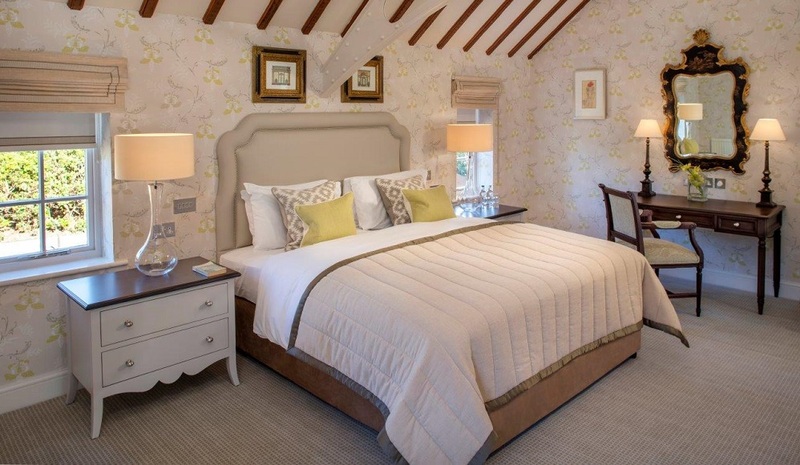 The master bedroom is located on the first floor and has been designed to showcase the original exposed roof beams, enhanced by a bespoke designed lighting scheme. The open-plan room incorporates the ultimate bath-time indulgence; a free-standing copper-lined timber-clad bath from which guests can enjoy a view of the landscaped surroundings. Behind the king-sized master bed is a walk in dressing area and the room also incorporates a desk / dressing table and a comfortable seating area. The ground floor accommodation is comprised of a light-filled dining / study area with a sofa-bed, a desk and a seating area and includes a spacious luxury bathroom with walk-in shower and double basin. A palette of stunning copper and aubergine fabrics, including velvet and tweed, flows through the furniture and soft furnishings, contrasted by a more muted paint scheme of warm dusky pinks and barley shades. 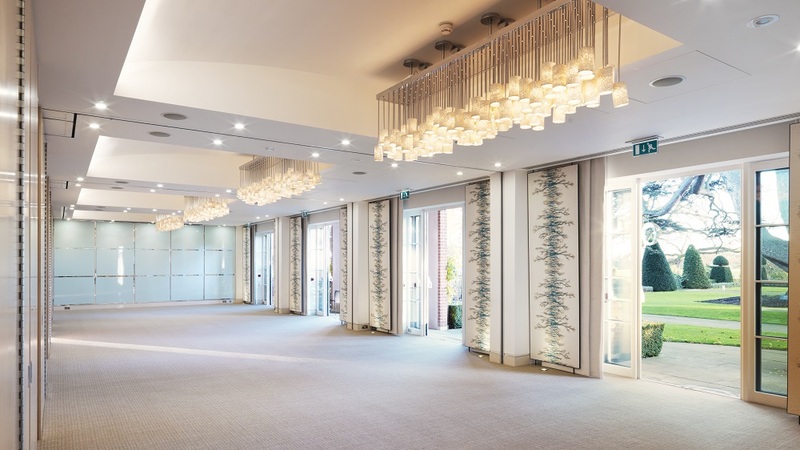 The opening of The Granary is the latest milestone in Pennyhill Park’s ongoing programme of refreshing rooms and facilities to ensure it continues to deliver exemplary experiences for its guests. 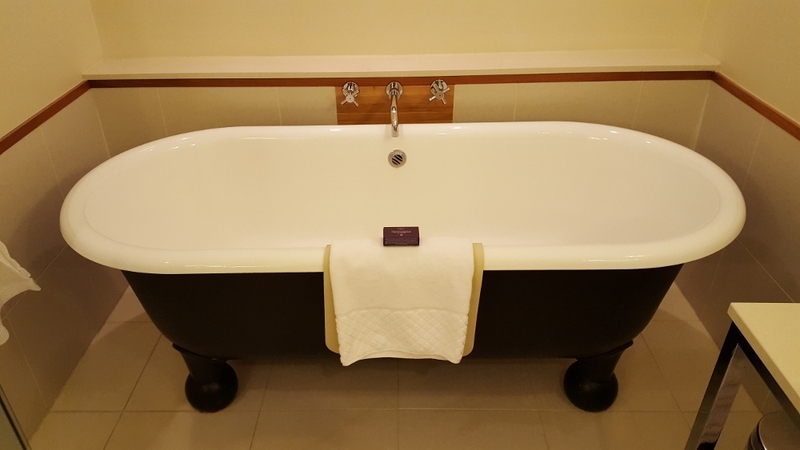 In the past two years, 18 suites have been refurbished, incorporating the very latest luxurious bathrooms including horizontal shower beds and glass baths offering ‘chromotherapy experiences’. The hotel has also opened a screening room for up to 24 guests, created a kitchen garden and developed The Spa’s pool bar and barbecue area. 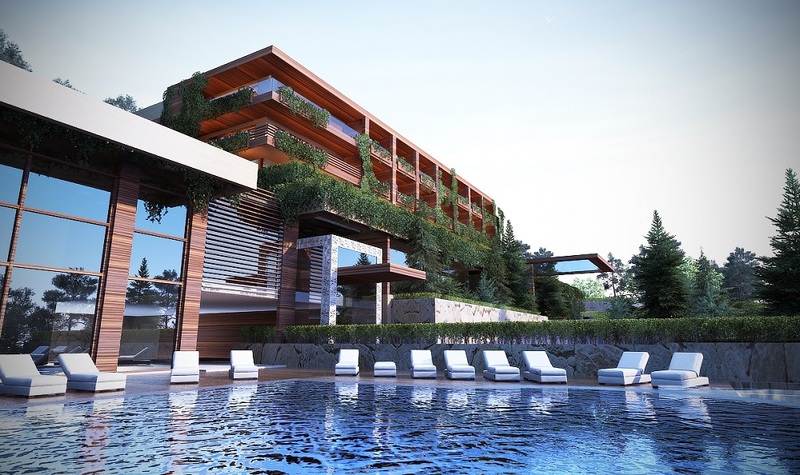 Warwick Hotels and Resorts is proud to announce a new addition to its collection, The Mist Hotel & Spa By Warwick, located in Ehden, Lebanon. 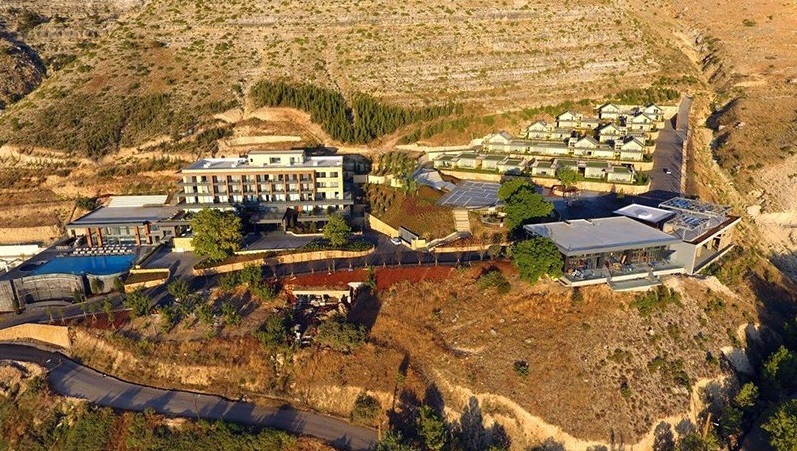 The luxurious 71-room hotel, situated in the northern mountains of the country, around an hour-and-a-half away from the capital Beirut, opened its doors last month. It boasts spectacular views of Ehden valley & the Mediterranean Sea horizon and benefits from Ehden’s famous location on the Mar Sarkis mountain. This new property in Lebanon is not the first WHR property in the region. Since 2012, the brand has been implanted in this country and three other hotels of the Collection are located in Lebanon: the Warwick Palm Beach Hotel and the Warwick Stone 55 in Beirut, and the Warwick Pangea Beach Resort & Spa in Jiyeh. At a higher scale, this new opening increases the presence of WHR in the MENA region and completes the business and leisure offer in this area of the globe. WHR is also present in the UAE with the Warwick Dubai, in Qatar with the Warwick Doha and in Iraq with the Babylon Warwick Hotel in Baghdad. This new opening confirms the ambition of WHR to keep on increasing its presence in the region with new management contracts. Also two more Warwick Hotels are opening soon in Riyadh and Al Khobar in Kingdom of Saudi Arabia. The Utopia Spa at Rowhill Grange Hotel has undergone a £250,000 investment programme which has given the space a new fresh-faced look. 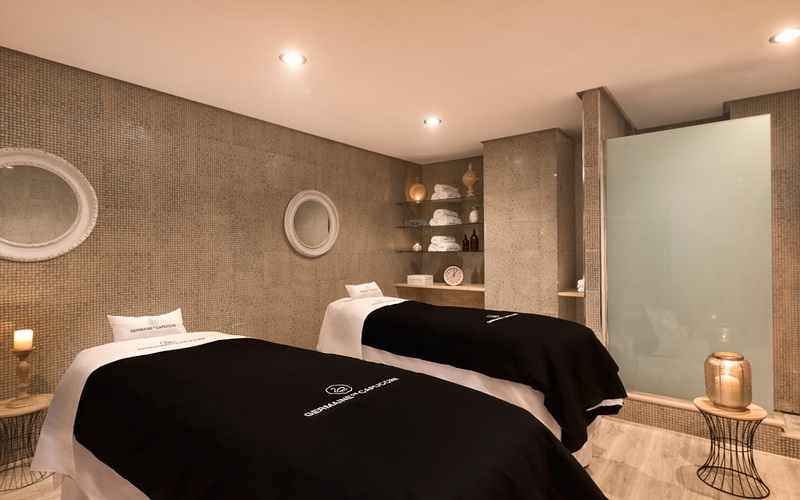 The popular spa at the 38-bed hotel is benefiting from two new treatment rooms, including a double room, a new hair spa and nail spa with luxury manicure and pedicure stations. A new relaxation lounge has been designed for privacy with 12 loungers and four pod chairs hidden behind a central curtain, plus Tweed Mill blankets for extra comfort. The changing rooms and treatment waiting area have both been given a facelift and the Utopia Spa has boasts the addition of a new retail shopping area. Originally built in 1868 as the summer house for 18-year-old Alice Alexander, Rowhill Grange became the first property in the Alexander Hotels Group in 1994. 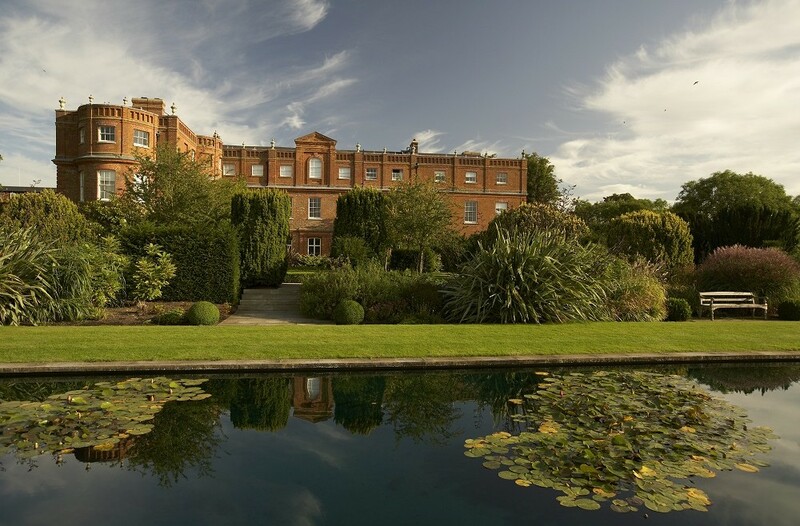 The hotel’s 38 bedrooms are surrounded by 15 acres of grounds and gardens and the hotel itself is also home to a 2 AA Rosette fine dining restaurant. After an investment of 100 million Swiss Francs (£77 million) and a five-year complete renovation and expansion, the transformation of the iconic Hotel Royal Savoy is now complete. The 1500sqm Le Spa du Royal which opened this June is the latest addition to the hotel. The new Le Spa du Royal features eight fabulous treatment rooms, two relaxation rooms, a ladies only spa, two private spa areas, an indoor and outdoor pool, a hammam, sauna, spa boutique, hair studio, and fitness centre. 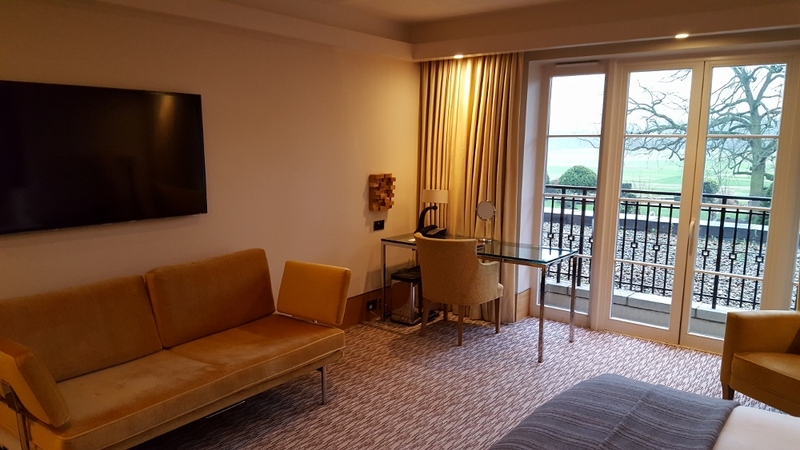 The Royal Savoy Lausanne is a five-star hotel with a total of 196 bedrooms and suites, spread between the historic and the new contemporary building. 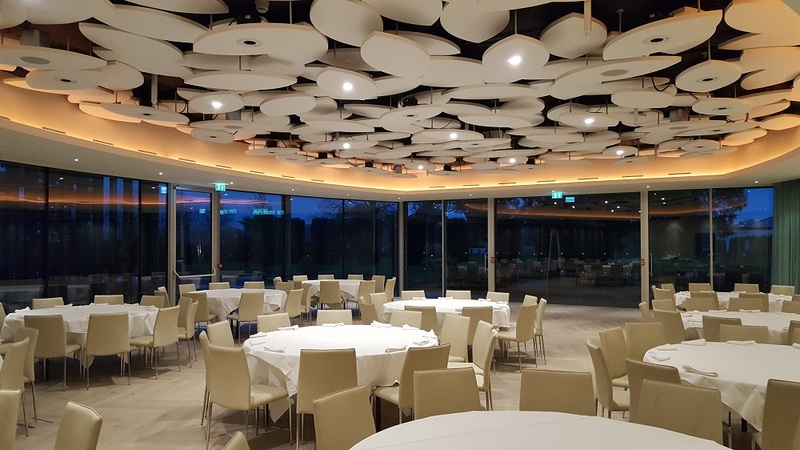 The hotel also boasts a fabulous restaurant overlooking the private park, a stunning sky terrace with 360 panoramic views, and the largest ballroom in Lausanne. First opened in 1906, the Royal Savoy Hotel has been a prestigious symbol of Lausanne for many years; its architectural magnificence, and tradition of hospitality, rivalling the best luxury hotels in Switzerland, and it has consistently attracted aristocracy and famous personalities. 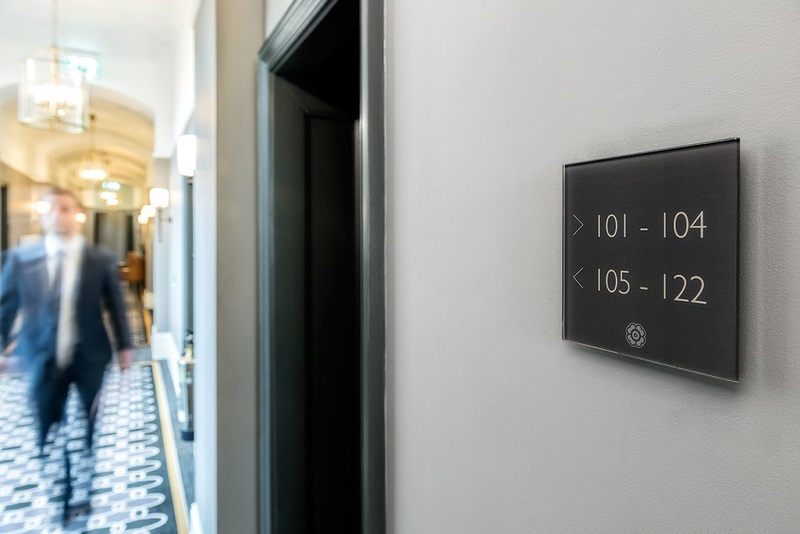 Constructed in neo-Baroque and Art Nouveau styles, the hotel was beautifully fitted out using the finest materials and quickly established itself as an essential part of Lausanne’s historic heritage. 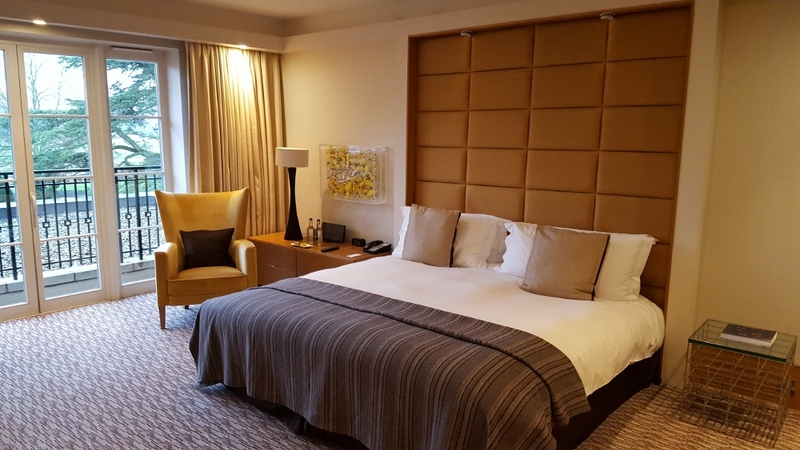 After a two-year, £1.7 million revitalisation project Foxhills Club & Resort in Surrey has unveiled its two new double-storey, 200-square-metre Deluxe Suites. The Deluxe Suites are situated in the heart of the resort, close to the health spa and first tee of the Longcross Championship golf course. Interior designers Parker Liddell have drawn inspiration from Foxhills’ quintessential English country setting to meticulously create two elegant interiors, using mainly bespoke British furniture to retain the air of a country cottage. The soothing hues selected for the ground floor sitting rooms are a neutral palette of soft grey and deep blue in one suite, with olive green and taupe in the other. These colours are accented throughout each suite in the L-shape sofa and footstool from the Sofa Studio of Romsey, Hampshire. The wooden dining table from Bampton Design of Witney is complemented by a well-equipped drinks bar, whilst bespoke woollen carpets have been commissioned and woven in Denmark by Hammer Carpets. Stairs lead up to the mezzanine level bedroom where the exposed beams and the original king truss ceiling scape are preserved. Wallpapered in a restful Bellflower design by Colefax & Fowler, with a super-king size Hypnos bed, the bedroom area features mirrors and pictures supplied by Quintessa Art in North London. Windows are adorned with handmade rick silk drapes in Harlequin fabric and Sanderson braids for a smart, contemporary touch. The sumptuous bathroom features a freestanding stone bath, separate shower with over-sized shower head, and an elegant double vanity unit. I try to look at different types of hotels in both Reviews (166 of them) and Miniviews (and there are over 150 of those), different qualities, national characteristics, different approaches to design. There are lessons for designers in all of them. Namibian hotels like Damaraland, for example, shows how to maximise the use of eco-systems such as solar power, solar water heating and localised sewage systems. German hotels seem to handle luxury much more confidently than anywhere else I have been, epitomised by Steigenberger. Local vernacular too shows the evolution of the hotel from inns such as the Alma and the relationship to locality in a way that is alas so sadly missing from the megaliths that line the roads in Dubai. Obviously I have a kind of mental check-list to work down, answers to which I find in some surprising places, such as leaders in technical innovation being Premier Inn with their approach to using technology epitomised by Burgess Hill. 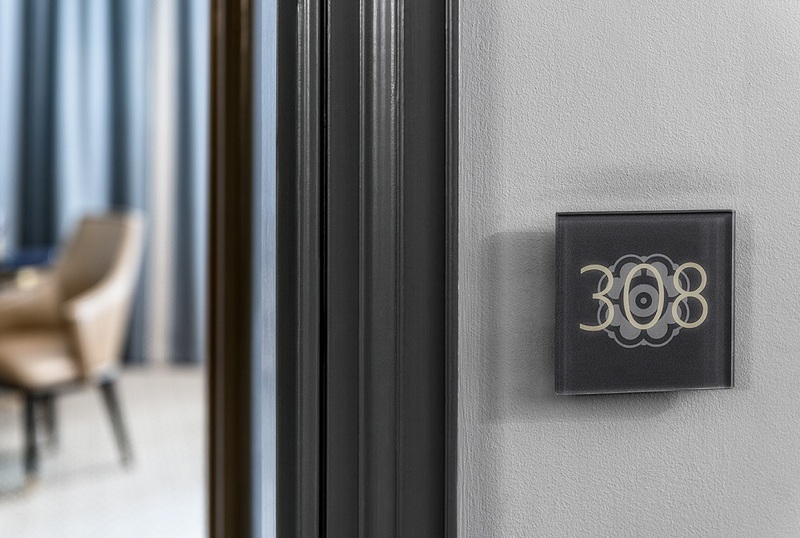 I have looked at hotels that reflect a history such as the high Victorian treatment in the Polish Noma Residences. In line with this I have always wanted to look at a castle conversion. Swinton Park is the closest I have managed to get to a castle yet. The building itself dates back to the sevententh century, indeed it may even date back further with the oldest bit of the current building dating from the reign of Henry VIIIth I’m told. I’ve looked at older (the Churston Court in Devon being built around a long barn reputedly 9th century in date) but none with a tradition of being a fortified place, so when offered the opportunity to stay at Swinton Park I jumped at the chance. Owned by the same family for many centuries it is only in the 21st century that the decision was made to convert what had become an over-large expensive-to-maintain country house into an hotel operation. It is still a work in progress as a guided tour around the parts of the estate not yet put to use showed, but what a great job is being done in changing the rôle and use of the many remaining out buildings. 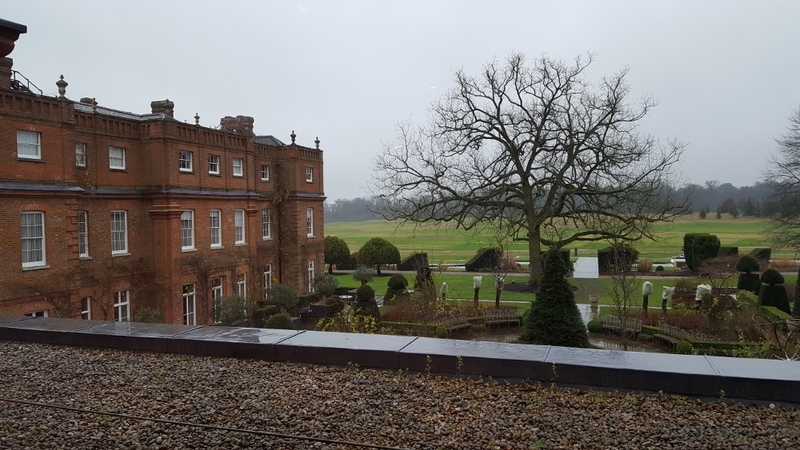 The evolution of the building into an hotel follows a long evolution into a large country house from the original fortified manor that it probably was when built in 1690’s England. The existing gothic version dates back to the 1760’s with additions continuing through into the nineteenth century, so todays adaptive reuse continues a long cycle of reinvention by the owners past and present. The current owners are being sensitive to the existing building as would be expected from a couple for whom this house is their family history at least in part. 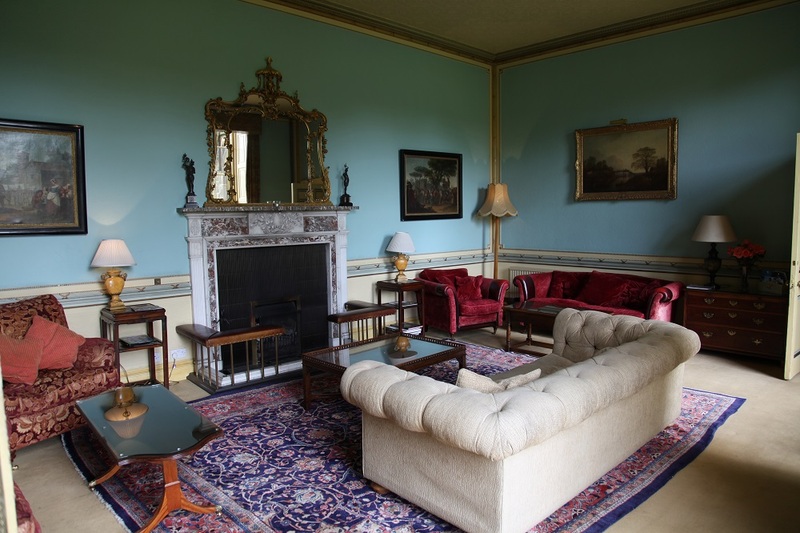 After a brief interregnum when it was used as a college, the house returned to family ownership and the refurbishment commenced at the turn of this century, the sixth for the property. One of the attractions of older buildings is the amount of fine detail that is in them, and this one is no exception. With wonderful joinery (mill work to US readers) and some stunning plasterwork the inheritance enhances the generally large spaces. Included in this are two large safes now used for keeping guns and wine under lock and key. Guns because the hotel continues county activities in the form of shooting, hawking etc., but also runs a prestigious cookery school and trains staff. The spaces themselves are large and enable a graceful and unflustered level of service, as the relationship of the scale of public spaces to bedrooms ensures that there is plenty of room for guests. The planned addition of the new spa and further bedrooms, together with the development of the business traffic will not stress these areas, except perhaps the bar, which is a smaller but equally interesting space that apparently used to be a private museum. The pinnacle of the restored spaces is perhaps the magnificent dining room. It is a grand traditional space with a stunning plasterwork ceiling. Large windows maximise daylight and the subtle use of candles in the evenings compliment the gentle light achieved by the gold linings to the traditional chandeliers. Cornicing and timber work emphasise the quality along with a dado rail below which the decorative plasterwork in reiterated. Through the windows the deer park is visible and I was delighted to see a hedgehog snuffling its way along the edge of the lawn besides myriad bunnies at play. Adequate for the current number of bedrooms as the planned increase comes into play some consideration may need to be given to creating further bar and dining areas. As an experienced Accor executive observed to be me recently “30 odd bedrooms is basically a mom&pop operation”. Whilst Swinton Park is 38 bedrooms currently, plans are afoot to add more to this total along with a new spa area. There is plenty of room for this expansion without spoiling the nature of the operation but it will need some thoughtful replanning of the public spaces to service the increased demand they will generate. 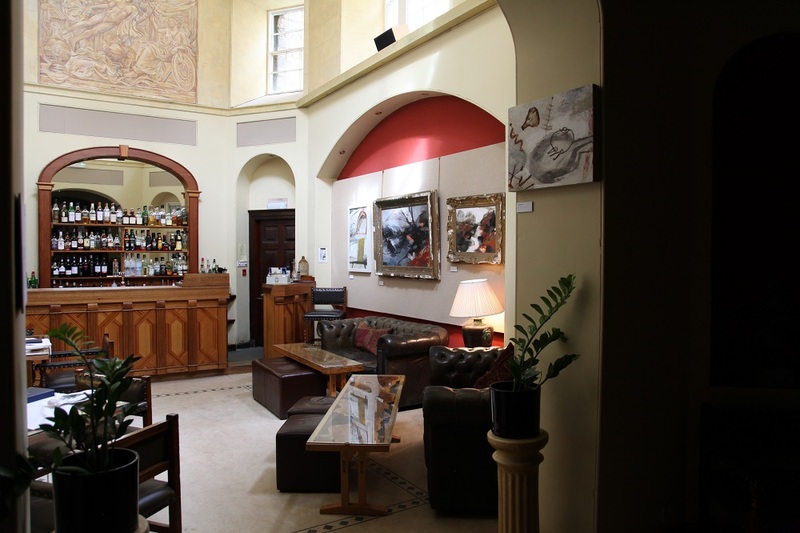 Among spaces currently available are a second guest lounge and the library, currently used as a function room. Whilst the GM regrets the fact that the original library shelves have gone, and they must have been spectacular in a house of this period, what remains is in itself a stunning space. High clings and huge windows flood it with daylight and fireplace and plasterwork reflect the quality to be seen in the other rooms. The quality of plasterwork continues through the corridor spaces, the culmination of which is perhaps the grand staircase that links the floor. Although there is a lift, it is so much more fun to reach the bedroom via this grand staircase, complete with reminders of bygone days. One the wall are hung portraits of past family members, and the oak of the banister rail and stair treads is offset by a rich red carpet and red walls against which the plasterwork looks even more stunning . Bedroom corridors off the staircase are short and additional bedrooms are being created out of rooms on these wings, the latest the Bradford room, containing subtle Asian influences. Rooms themselves are large with large luxurious bathrooms generally having soaking tubs and walk-in showers. Views from the rooms are of course of the deer park — the estate has over 20,000 acres of land with rambler paths and walks. All bedrooms are individually designed, no two alike. However all share the same generous use of space. 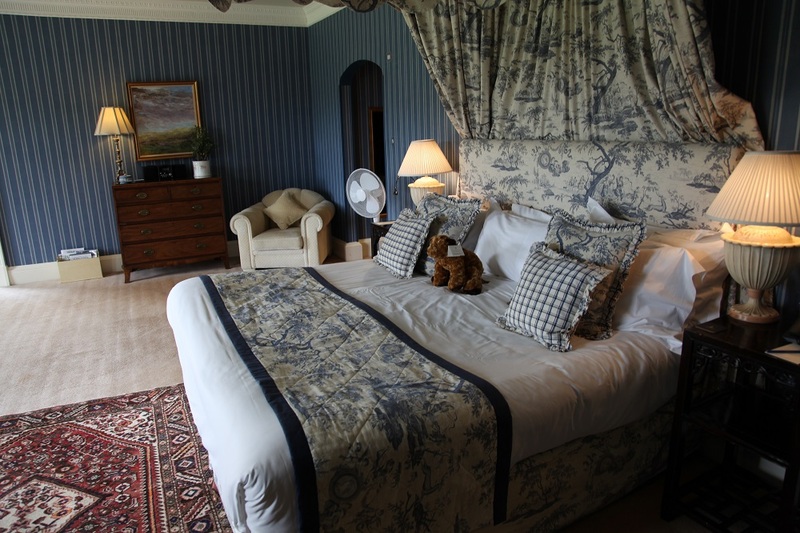 At a time when many UK urban up market hotels are shrinking their bedroom sizes to fit more in it is delightful to find a traditional country house hotel that is going out of its way to offer the last true luxury in our crowded world – space to swing your cat. Traditional values dominate here – traditional values of service, and hospitality. Traditional interiors are an enormously variable feast, but the interiors here have a classical timeless English country house appeal. It is to be hoped that these traditional values can be maintained as the property grows. Certainly some careful appraisal of the public area provision needs to go hand in hand with expansion but the building has the scope for this to be achieved whilst maintaining the quality that is inherent to the building.